Recently, a lot of blog posts on food recommendations have surfaced on Facebook. 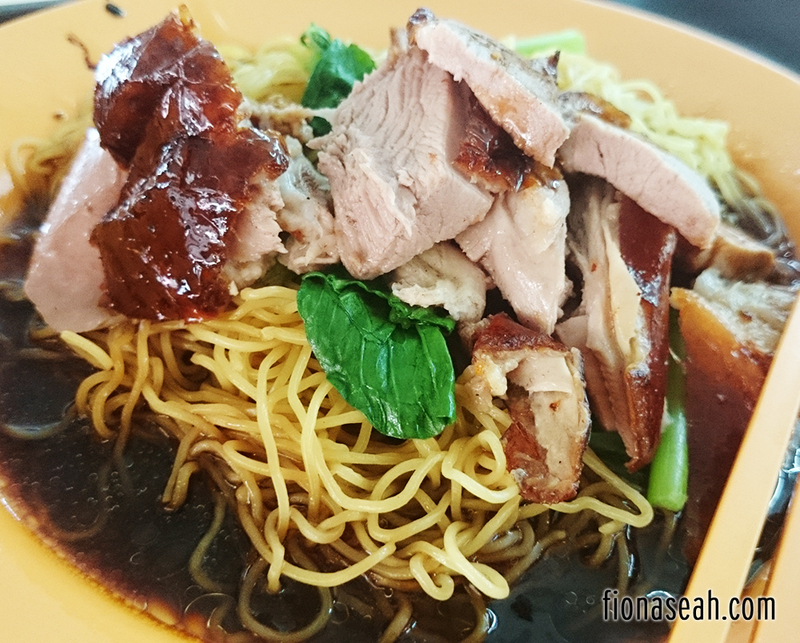 Although organised geographically, these posts merely cover areas which are already known to have good food and they are typically located in the Eastern side of Singapore which is so far away from where I live (but no doubt there are really nice food in the East coz I really love both Bar Chor Mee stalls at Bedok 85). Places in the west are seldom mentioned and it’s really, really sad. But does that mean my hometown, Bukit Batok, has nothing nice to eat? As a resident of Bukit Batok for 23 years (I have already moved FYI 😦 but I still return on a weekly basis for work! ), I can vouch for the falsity of this statement. There are great food in this area and if you don’t know where to find them, then you’ve come to the right place. 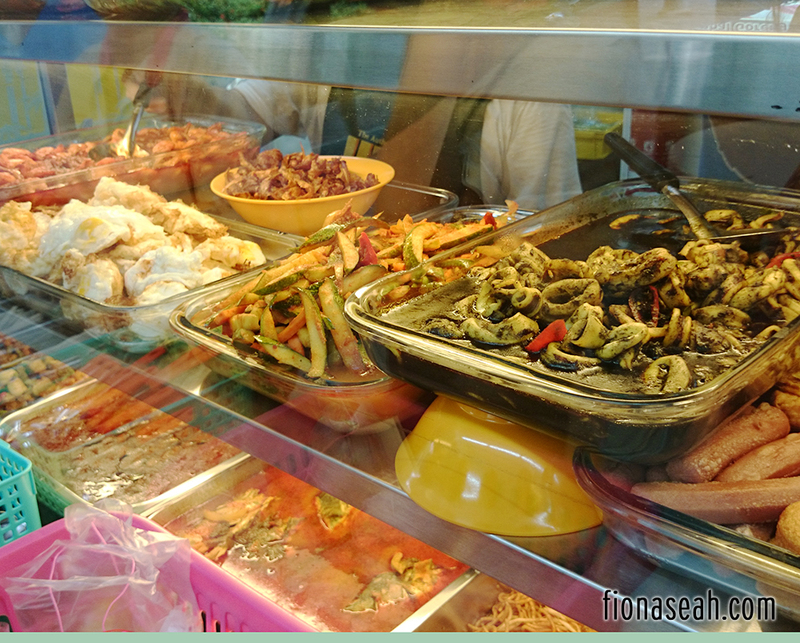 In this post, I’ll be taking you through the list of top food finds in this neglected part of Singapore with additional input from my cabby Dad (because taxi drivers are also food experts right?). Bukit Batok, for the record, also includes Bukit Gombak (one of the 8 sub-zones of Bukit Batok). This Muslim-Indian eating place formally known as Alif needs no introduction (edit: it has been renamed to Alif again). Even though it has been bought over (or so I’ve heard) by Thohirah (which has a pretty famous outlet at Jalan Kayu), it still remains as one of the supper hotspots in Bukit Batok. Highly raved by food bloggers and celebrities (e.g. Taufik Batisah in the 2005 Coffee Talk and Hawker Woks) alike, it is also very popular among youngsters who need a place to chill with their friends. I’d say it’s a landmark of Bukit Gombak apart from the driving centre (BBDC) because everyone who has been to the area would have seen it before. 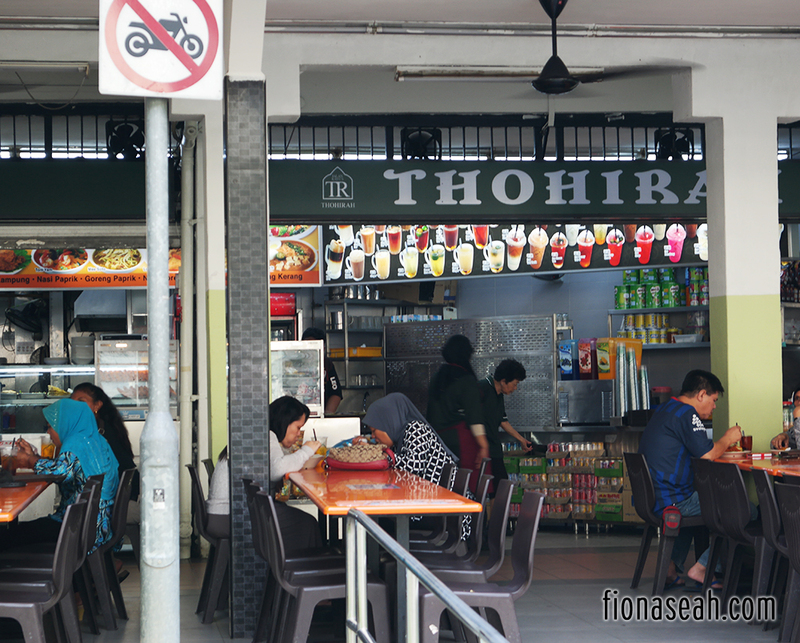 Thohirah occupies two separate units (both beside McDonald’s). I frequent the one directly beside McDonald’s more because that’s where you can buy their famous Roti Prata. They are very generous with the cheese slices in their Cheese Prata to ensure that every part it would have some traces of cheese. Thirsty? Forget about Bandung or canned drinks which are readily available anywhere. 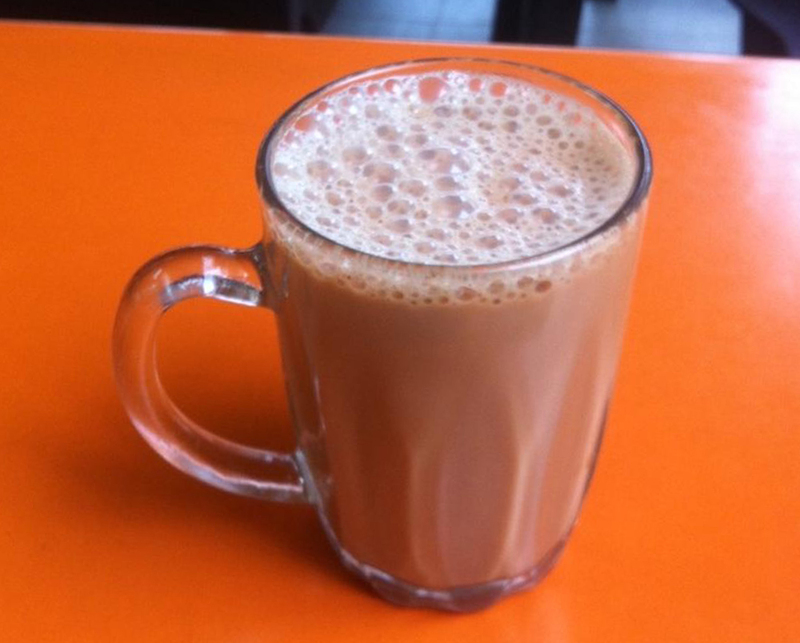 Order a cup of hot, fragrant and well-pulled Teh Tarik instead. If you’re not a tea drinker, get yourself a cup of Milo Dinosaur. It comes in a relatively large cup with lots of Milo powder on it. So sinful but oh-so-good. The other unit serves noodle and rice dishes like Mee Goreng (which I’m a huge fan of), Mee Rebus and Nasi Briyani, so if you’re a big eater, you could dine there instead. And the best part? Thohirah has free Wi-Fi (Wireless@SG), thanks to their neighbour McDonald’s. Of course, the signal strength depends on where you are seated. 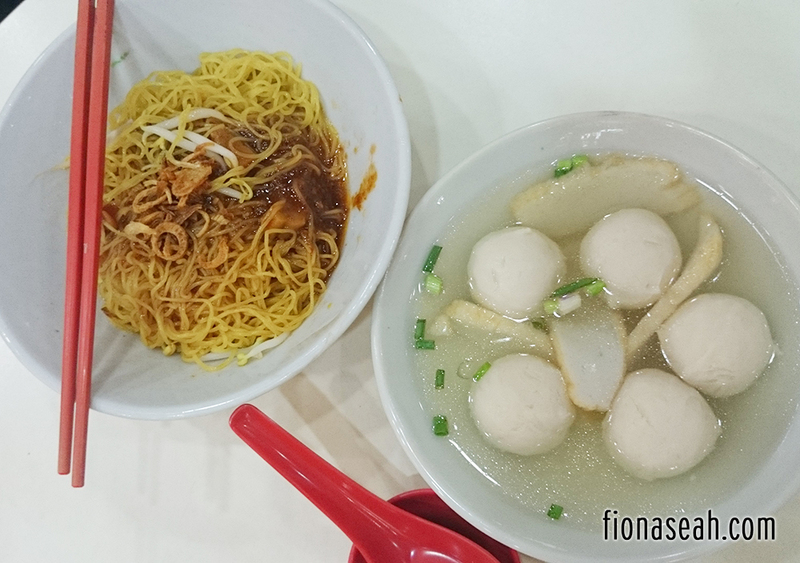 There are several coffee shops in the vicinity but Hong Kah Food Place (formally 五十千/50,000/Gor Zhap Cheng which aunties and uncles I know still call it today) has always been among the top on my list for its array of delicious eats. Most of these stalls only operate in the morning and will be closed by 4pm. 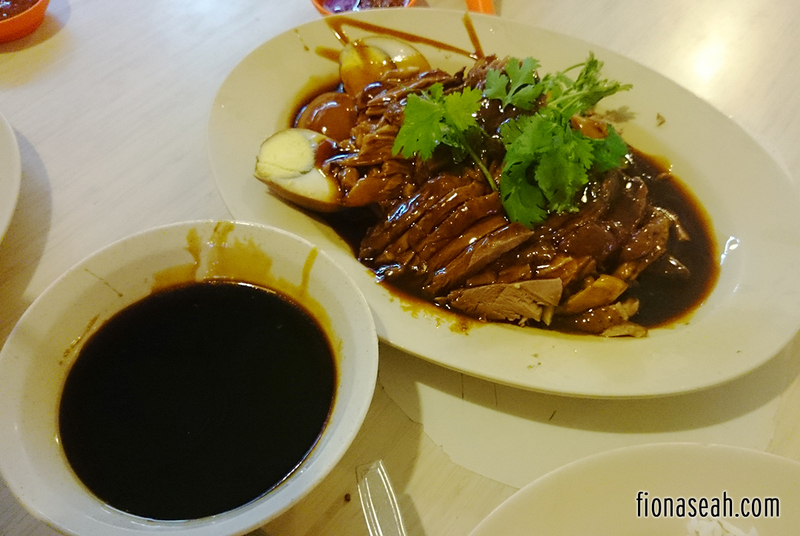 Xin Kou Wei is one of them and their braised duck is so scrumptious that it usually sells out by 2pm. 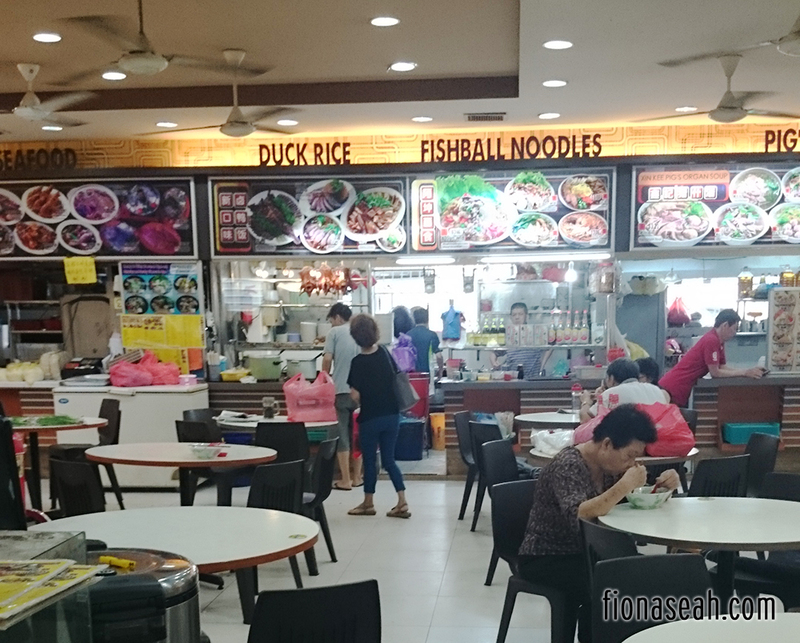 The Fishball Noodles beside the Duck Rice stall is also not too bad, but the portion is quite small and their fishballs always run out before noon..
(OFF TOPIC, read caption above) Fishball noodles from next door! You guys can give it a try. 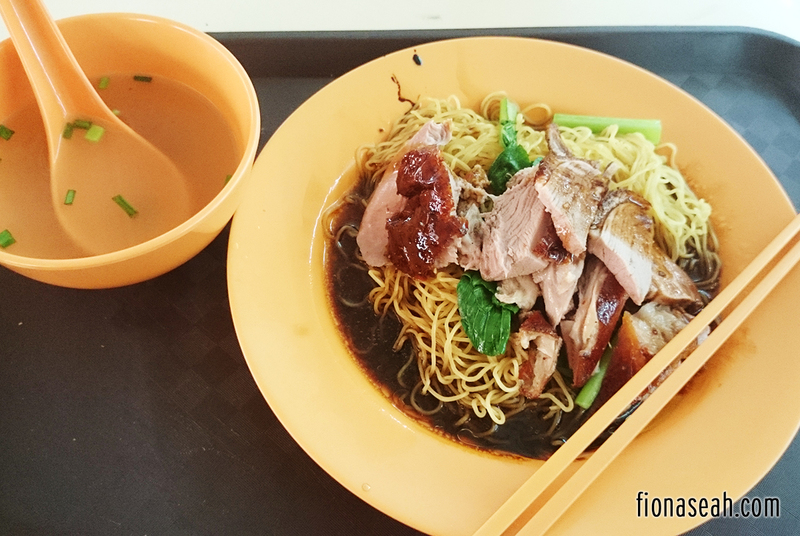 Like many other duck rice stalls, it also serves kway chap and duck noodles (dry and soup) for those who can’t stomach rice in the morning. But I’m just going to recommend their duck noodles soup because it’s something I’d always go for. The soup is very tasty and has a very mild herbal taste to it but it is definitely not repulsive or anything. 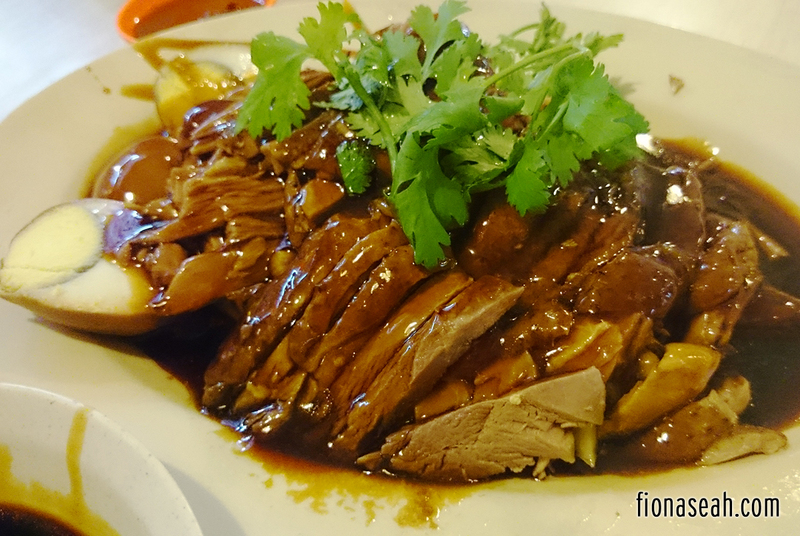 The herbal taste would gradually dissipate once it mixes with the the sauce on the braised duck. Siang Yuan started out as a coffee shop (now a Muslim coffeeshop) in the late nineties behind what is now known as The Madeira Condominium (was previously an empty field). 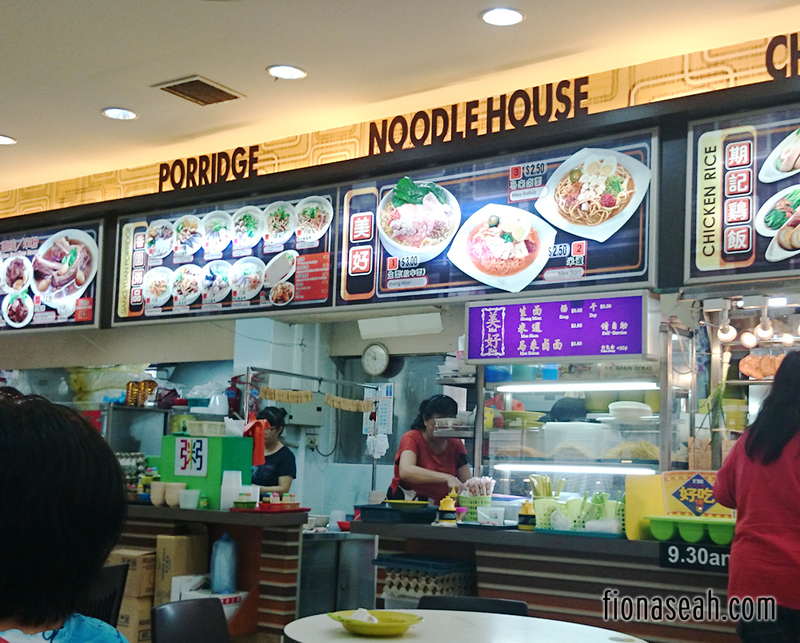 It used to serve the same porridge in the day and tze char in the night until they decided to scale down their business. I’ve been their loyal patron ever since they started their porridge business and I can vouch that the standard remains good over the years. Love the smooth texture of the fish slices! Craving for it right now. 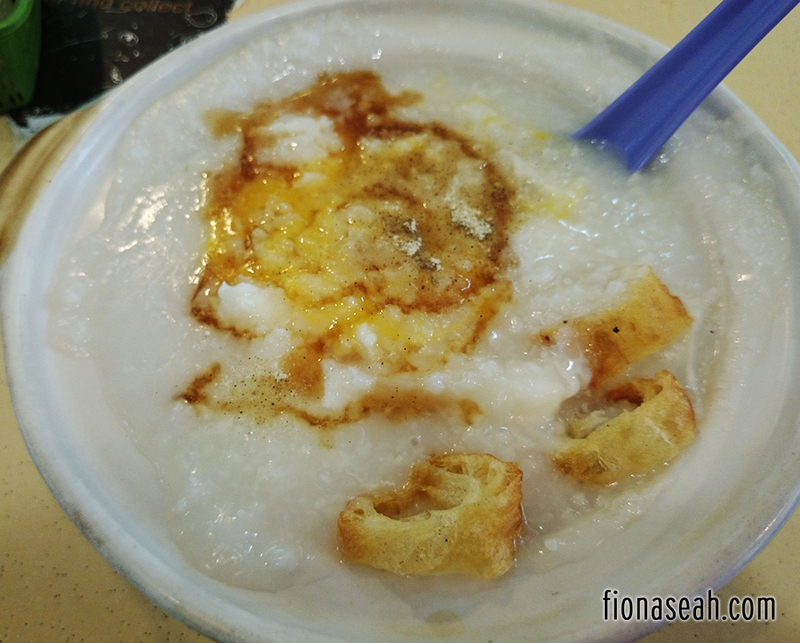 Their fish porridge is my breakfast staple (on days I don’t feel like eating a lot). The serving is a little small as compared to others you know but it’s really good. 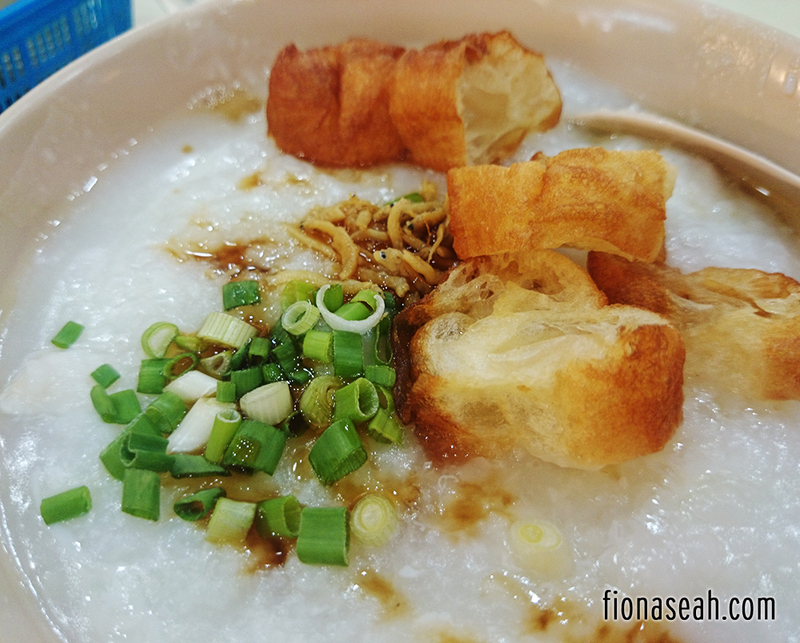 The thick porridge comes topped with crispy silver fish, chopped scallion and fried cut you tiao, making the dish extremely fragrant and flavourful. 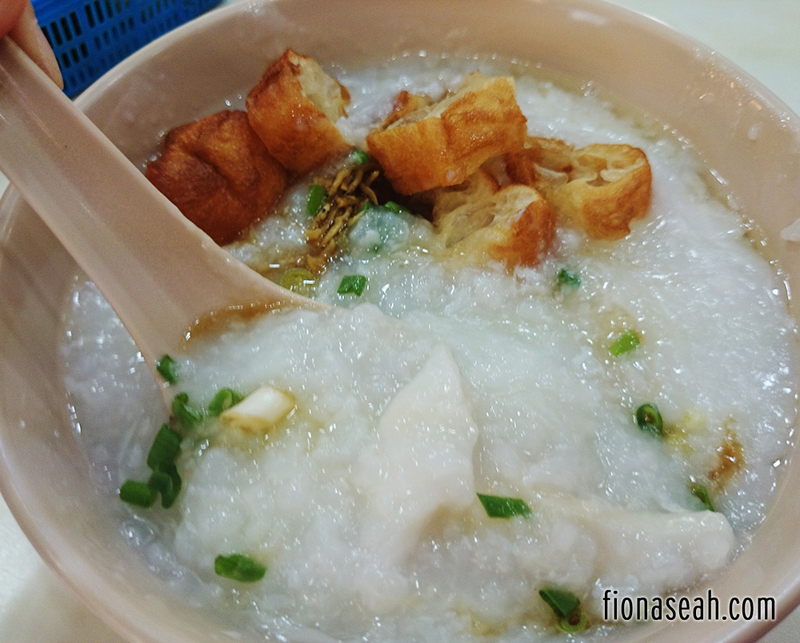 I would always order my fish porridge with egg, which is just an additional of 30 cents. A rather new addition to the food court, it proves to be very popular as they are always swamped with orders, especially on weekends. If you’re a noodle or soup person, you should totally try their 生面 (plain noodles with soup) because it’s always served piping hot and garnished with lots of pepper, fresh greens, pork meat, shelled prawns and most importantly, an egg! Due to the hot temperature of the soup, the egg cooks pretty fast so be sure to lift it up the moment the dish is delivered to your table (unless you don’t mind hard-boiled egg). The broth is light on the palate and it also feels super healthy and refreshing especially when consumed during cold weather. I’m not sure what kind of noodles they use but it’s very chewy and definitely not something I see very often (the closest I can think of is probably Ramen). Noodle with soup. 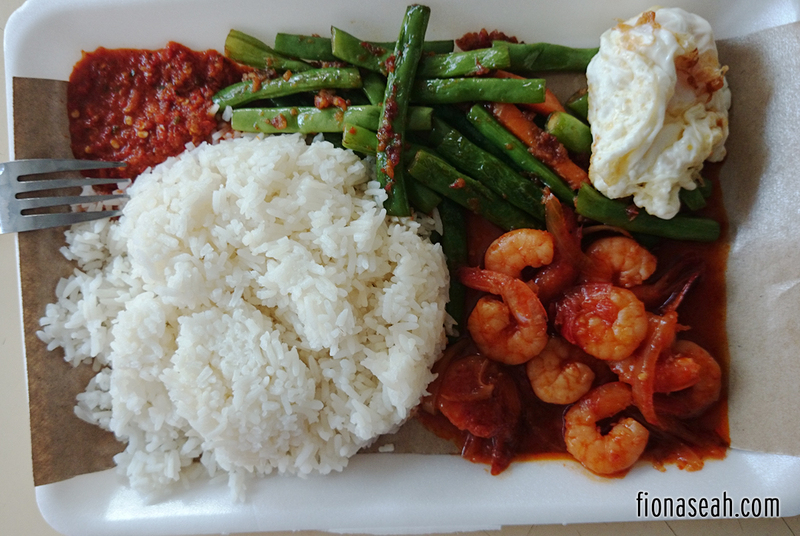 This gives me a very homely feel because my Mom used to prepare something like that for lunch during my primary school days with all the de-scaled prawns and fresh greens. Knowing that I’m a huge fan of runny eggs, she’d also add one into my bowl, just like this! The dry version that also comes with a bowl of soup. 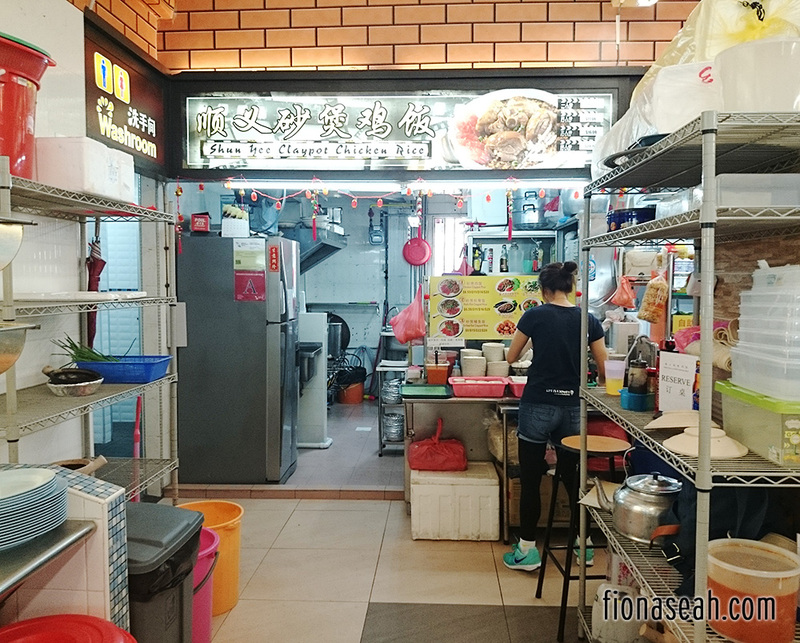 Moving on to a neighbouring coffeeshop which also has a huge variety of food choices, we have Long Sen that is pretty well-known for its Hokkien Prawn Mee. Some people think that it’s not bad but I feel that it’s a little too watery and they are also not very generous with the ingredients. To each his own I guess! You guys can give it a shot if you’re around the area. But what I recommend from this stall is actually their Prawn Mee Soup. This underrated dish has awesome tongue-tingling broth which has a very unique taste. 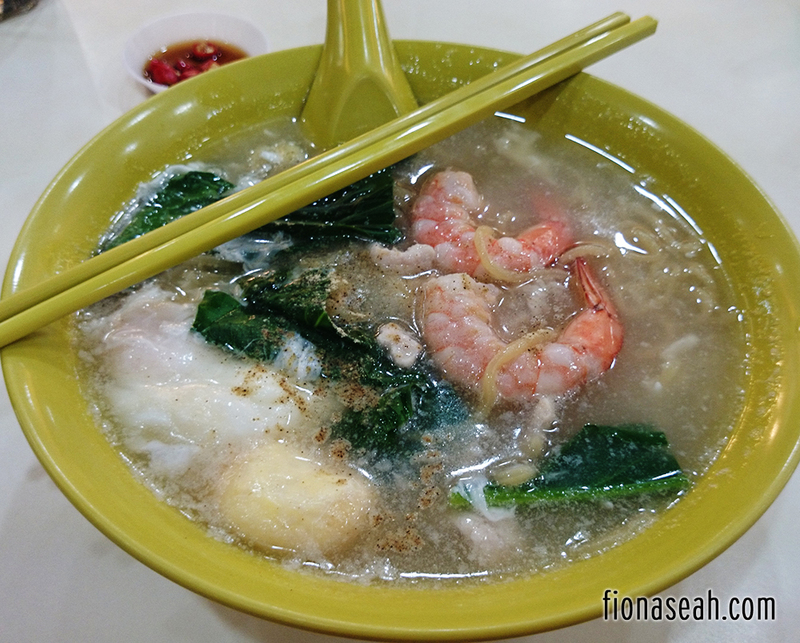 It is not the thick kind of soup that has an overwhelming prawn flavour, but it sure is very addictive. It may not be very visible from the walkway because it’s partially hidden behind the coffee stall. This stall always attracts a long queue of buyers especially during lunch time. Easily the most popular stall in the coffeeshop, Shi Mei serves smooth and tender chicken meat with beansprouts tucked underneath and doused with savoury gravy. Apart from the steamed and blanched chicken meat, they also serve other kinds like roasted chicken, chicken cutlet, lemon chicken and so on which are also quite tasty. Do note that beansprouts are not automatically provided for takeaways so you have to request for them. 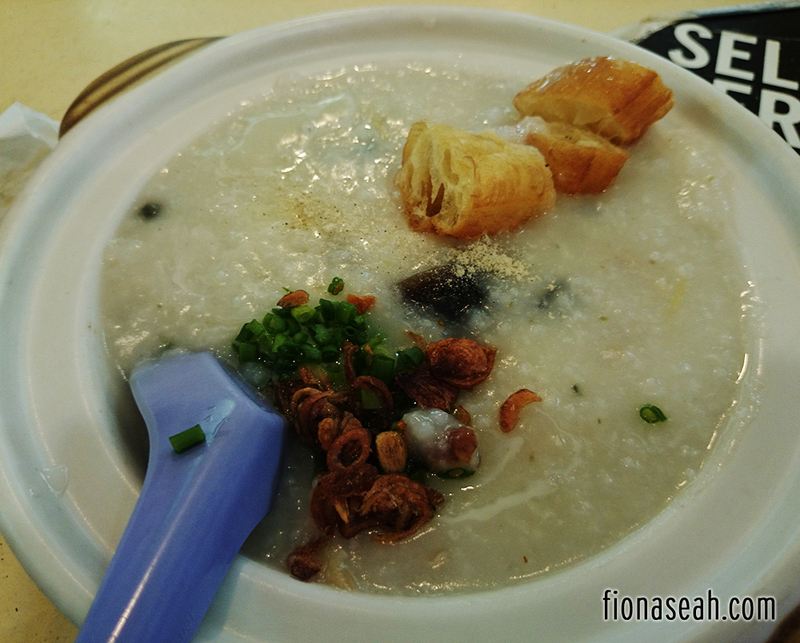 A great alternative to Siang Yuan, porridge here is served in a claypot to retain the heat throughout the meal. 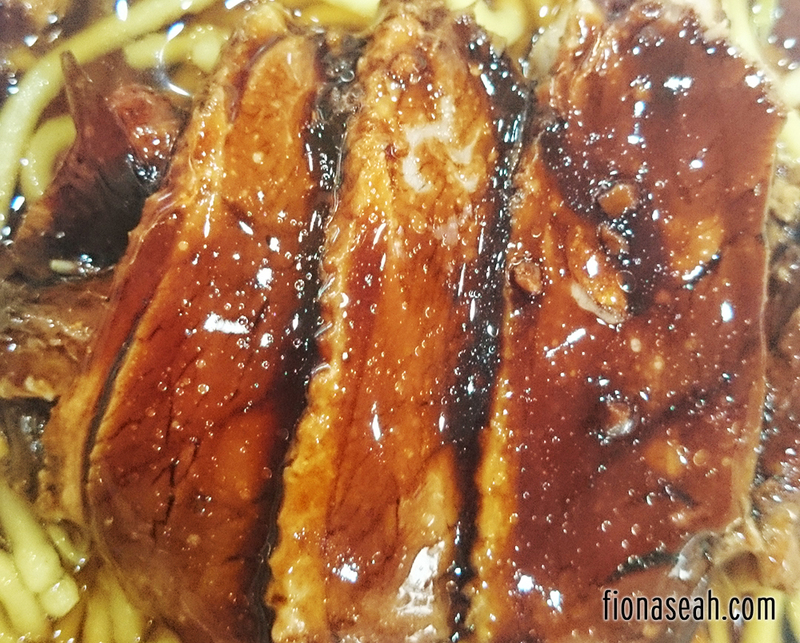 It is a lot more watery than Siang Yuan’s (but still very tasty), perfect for people on a low-carb diet like yours truly 😀 It would still be bubbling hot for a long time though so do not order if you’re in a rush (or risk burning your tongue, like me on several occasions. You’ve been warned). I don’t know about you but I’m a sucker for anything claypot. Anything that is served in a claypot would naturally appeal to me because somehow, the burnt and perfectly cooked areas blend really well to produce a very fragrant smell. 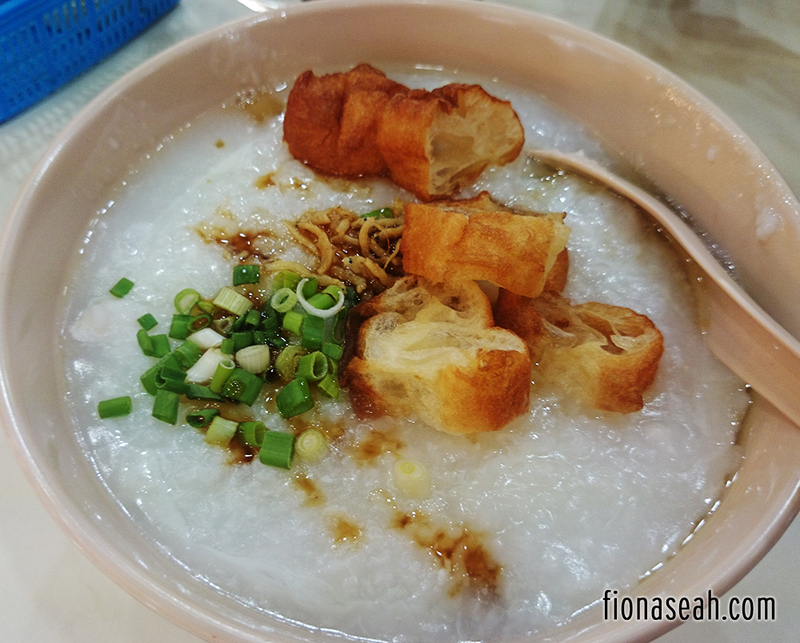 Likewise, I usually go for their Sliced Fish Porridge with an additional egg which hardens really fast under the boiling congee. The fish slices are a little rougher (Mom says that it’s a cheap kind of fish), but still acceptable. Oops, forgot to snap a picture before I accidentally broke the egg while trying to look for it (I believe I’m not the only one who does this all the time -_-). Here’s my Sliced Fish Congee! 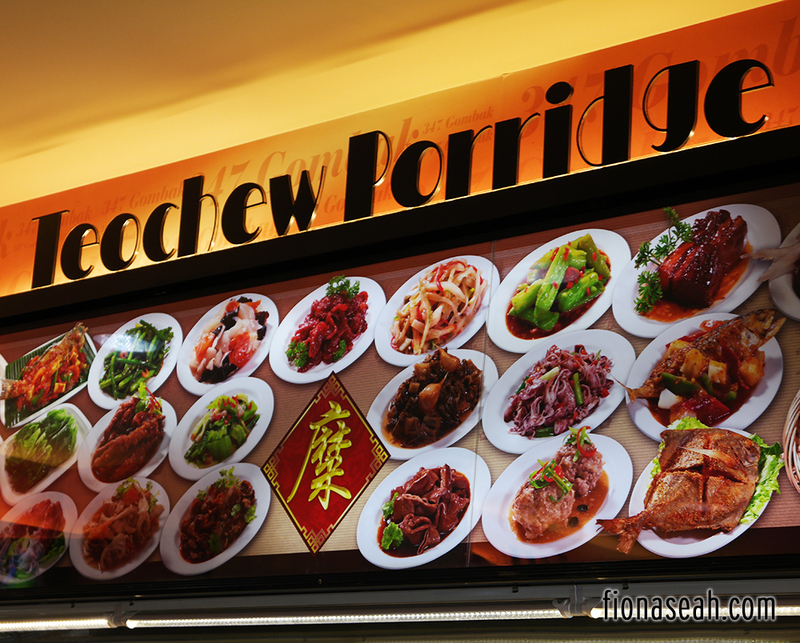 This Teochew Porridge stall has been around for a long time but I think it was only recently acquired by 金味. Still, its standards have not dropped and it’s still as popular as ever, having able to attract people from all around Singapore. 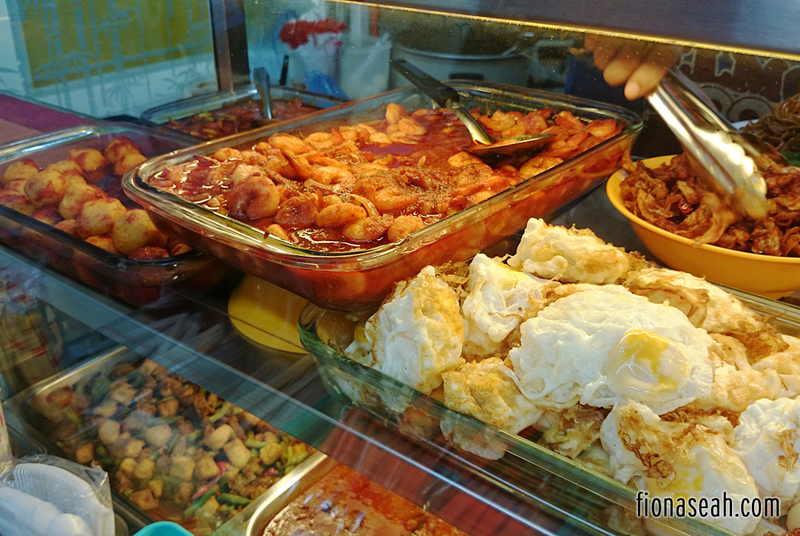 It has a very wide spread of food to choose from so you are bound to be spoilt for choice. However, prices have gone up steadily over the years but it’s still within the affordable range. I have personally only bought from this stall once because the food sells like hotcakes and it closes even before I wake up! So my Dad (who is a morning person) was always the one that did the buying. NOTE: Rui Ji has moved! Follow their Facebook page for more information or scroll to the bottom for their new address. Since my trip to Hong Kong last December, I’ve been craving for Cantonese cuisine especially roasted meat and Rui Ji is the closest I can get to the real deal in Bukit Batok. The queue (or crowd, because the one taking orders is extremely attentive and has superb eyesight and memory so queues are technically unnecessary) at the stall front is an obvious testimony to their excellent culinary skills. On top of the thick, tender and savoury roasted duck meat they serve, the soup that comes along with it is just so good, I wouldn’t mind paying for it. 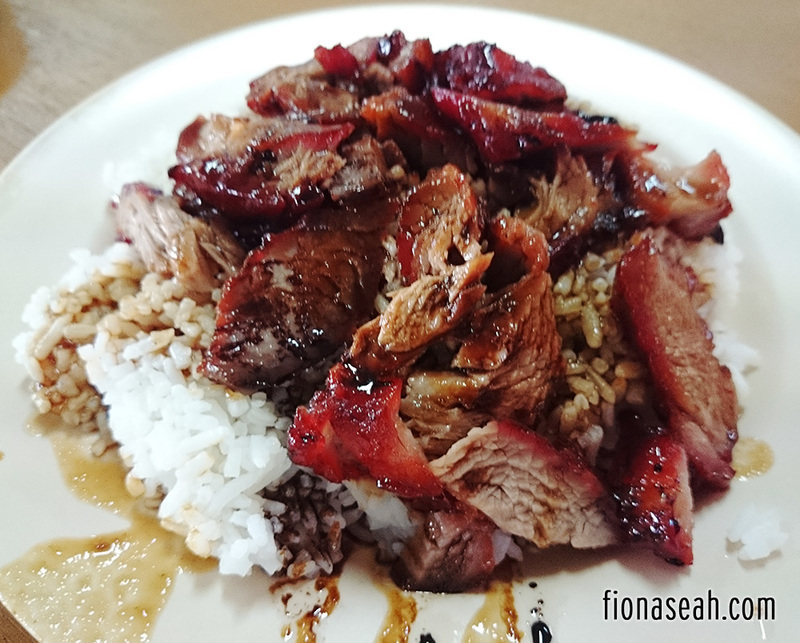 Besides noodles, the stall also sells rice dishes such as Char Siew (roasted pork) rice which is equally delicious. Char Siew Rice and I can’t really remember the price. It is either S$3 or S$3.50. I haven’t forgotten all about you, vegans! 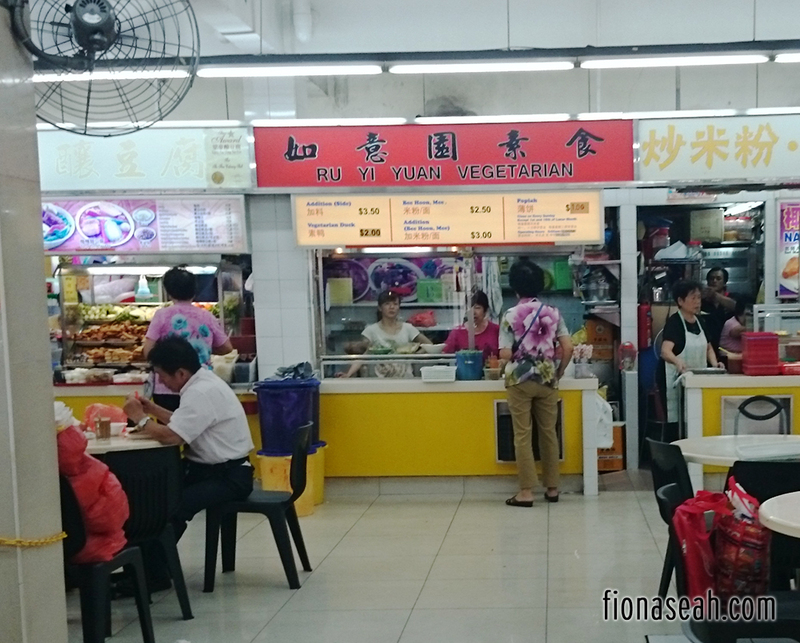 There are at least 3 vegetarian stalls in Bukit Batok, but I believe this particular one garners the most votes from vegan foodies with the only complaints so far about their food selling out really fast. Having said that, this stall is also quite popular with casual eaters especially the Buddhists. Long queues are common on days when Buddhists have to abstain from meat (齋戒) so be sure to avoid those occasions if you don’t want to wait! NOTE: Stall has shifted to Block 272. Address has been updated below. One of the perks of living in Singapore is that you get to eat food from different cultures anywhere you are! 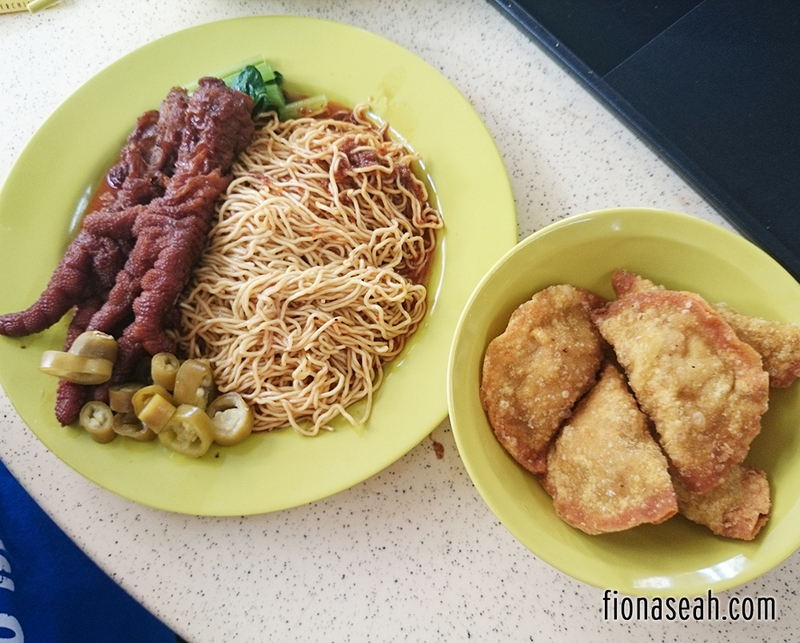 Thus it’s not surprising that delectable ethnic foods are readily available in Bukit Batok so you don’t have to travel so far to get your food fix. Now you see them. Very soon they’ll all be gone! Despite having rather low tolerance for spicy food, I still cannot resist Nasi Padang, especially from Jun Corner even though eating it would mean that I have to gulp down a few glasses of water. It’s just too shiok to stop. My go-to dishes are Sotong Hitam (squid in black ink), Ayam Goreng (fried chicken wings but only when they’re still hot, otherwise they’d be stiff and hard to chew), Sambal Udang (my top favourite because the prawns are always so chewy and sweet!) and Assam stingray when I have a few more dollars to spare. As you can see, I only go for the meat hence my plate usually costs a lot more than usual (at least $7?). I can’t remember how their Kang Kong tastes but I think it should be mediocre considering that I don’t usually order that. But my Mom loves their french beans. My portion, ~S$4? Kinda looks like kids’ meal hehehe. Operating hours: Early morning til sold out (typically by 1pm). Closed on Mondays. If roasted duck isn’t to your liking, why not try braised duck instead? 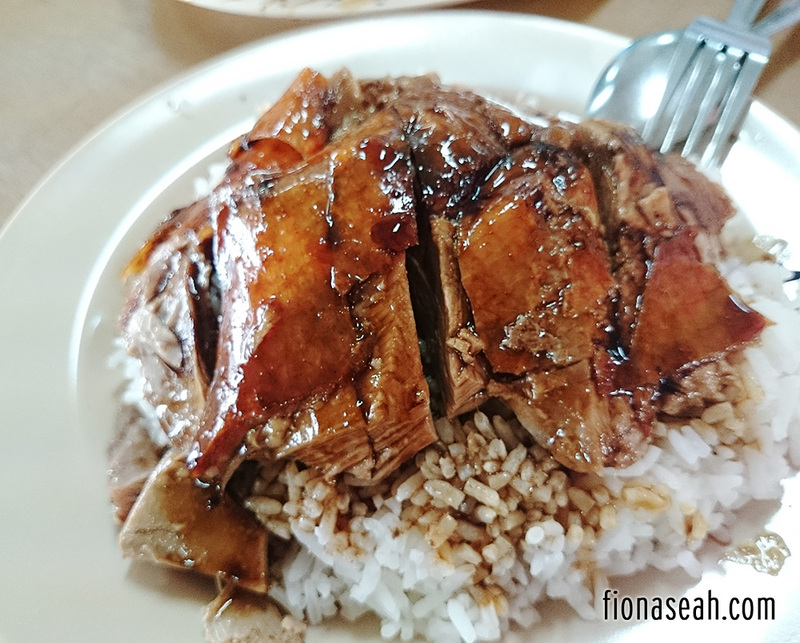 Tucked between residential blocks near Bukit Batok MRT (actually, it’s just 5-7 minutes walk away and relatively near to SHATEC), Ke Kou has risen to popularity among taxi drivers with its tasty and well-marinated braised duck. 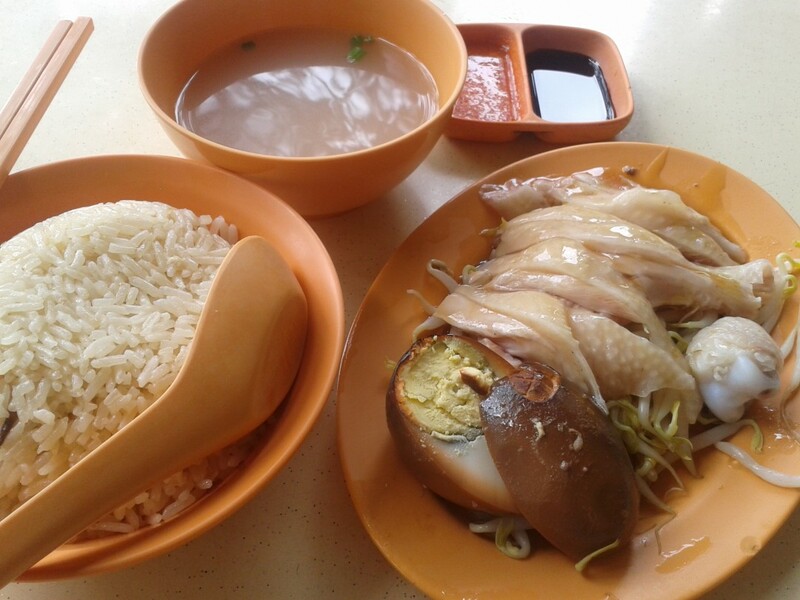 Patrons have the choice of yam rice, normal white rice or “Kway” (of Kway Chap). You can also ask for an extra bowl of “zhap” (gravy) if you want. And the very generous amount of gravy! Their stewed eggs are also nice and soft unlike some other stalls that sell eggs that feel like rubber. The soup has a mild herbal taste and it’s really comforting because it’s always served hot! Shiok. Even more so if you like tao gay (bean sprouts) because as you can see from the picture above, there’s a lot of them! Fatty Weng is the biggest tenant in the coffeeshop. It serves fish soup, fried oyster omelette and fried carrot cake (only available in the morning) in one unit and roasted pork in another, side by side. Being part of a nationwide chain, this stall opens every day even on Mondays when fish soup stalls typically close (because wet markets close on Mondays). 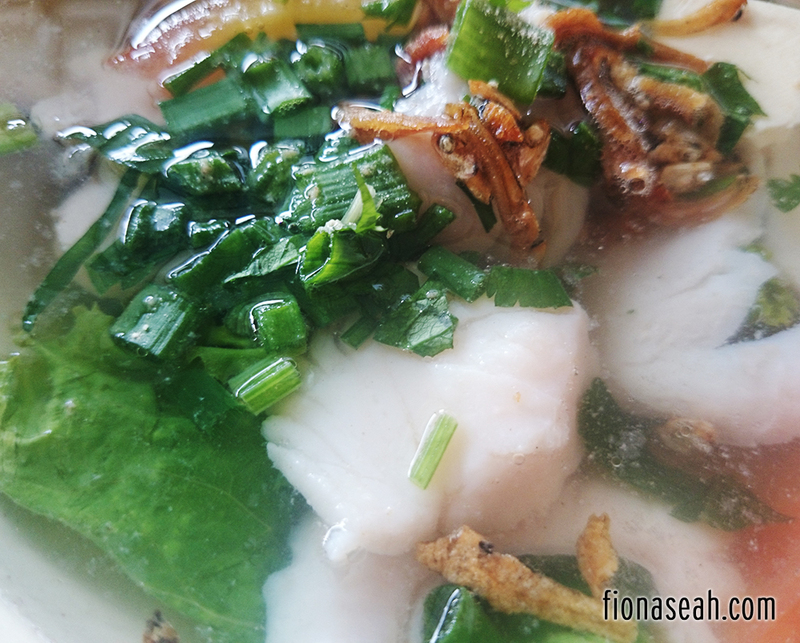 However, they hardly disappoint with their clear and tasty soup with plenty of smooth and supple fish slices. They are also very generous with their greens and tofu. Definitely a very healthy food choice! 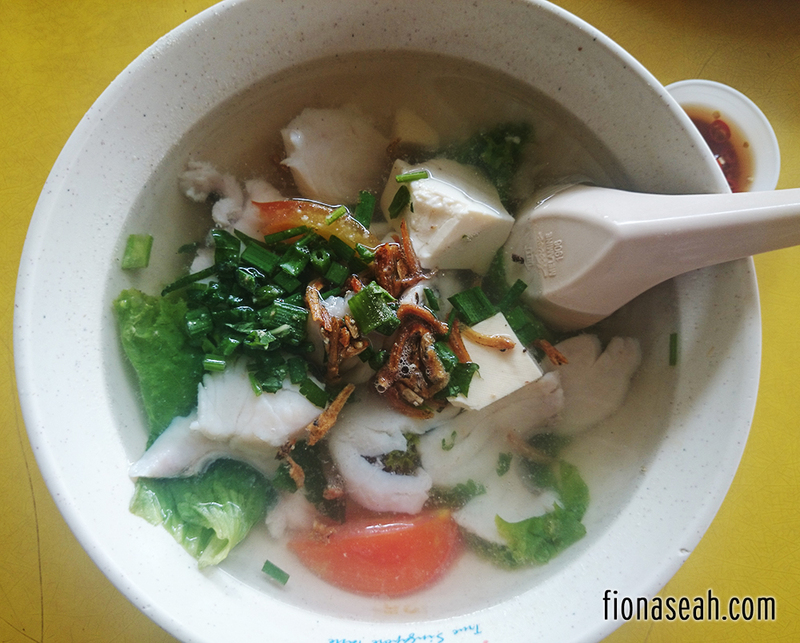 The best sliced fish soup in Bukit Batok, hands down. Love the clear soup and smooth fish slices! Previously at Yong Xing Coffeeshop (behind) before finally shifting to its current location 3 years ago due to high rents, Soon Kee is considered to be the best in Bukit Batok by many. 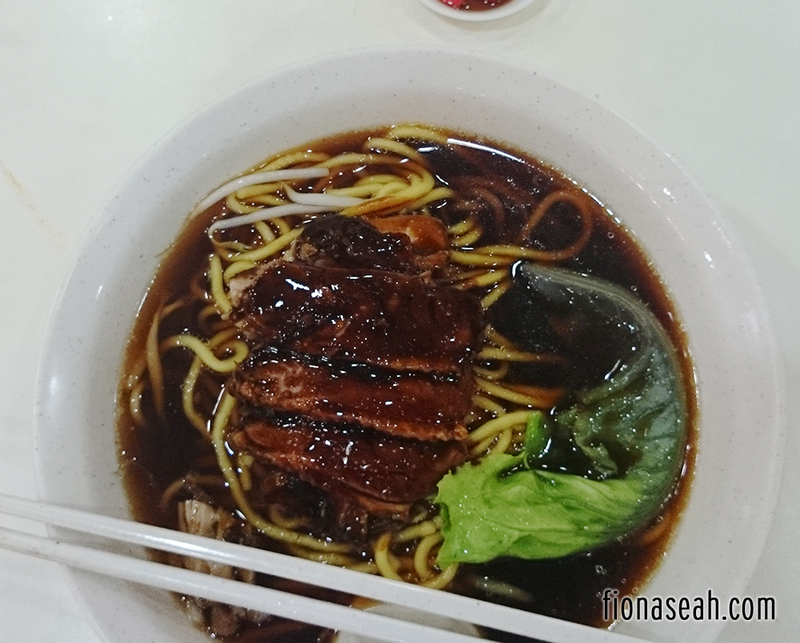 Their Hokkien Prawn Mee is fragrant and more towards the wet side. It also serves really nice chilli, thus they’d charge additional 50 cents if you ask for more. I used to love this a lot until standards started dropping after the relocation. I couldn’t finish my $3 plate of Hokkien Mee (the minimum amount) the last time I was there because it was terribly bland. But it could be a one-off experience so do give it a try! 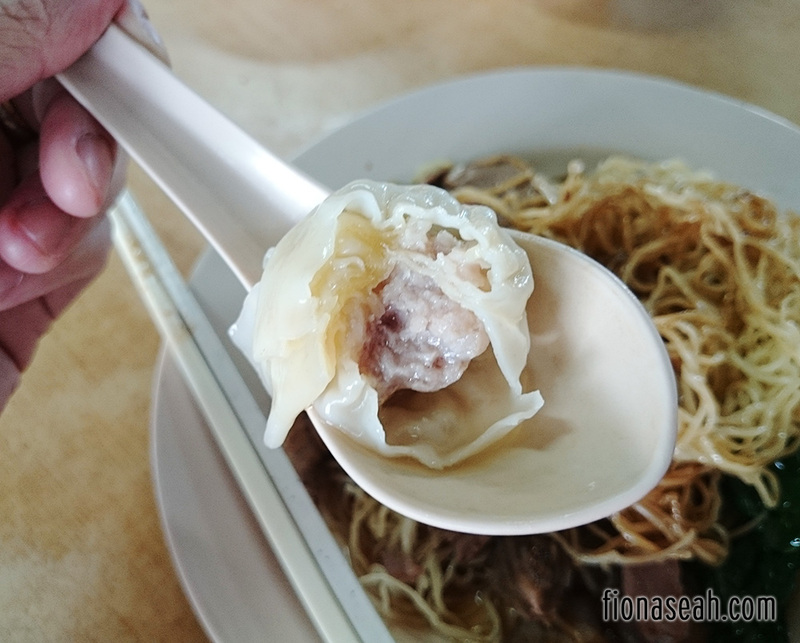 Known for its springy and moist Wanton noodles and crispy fried Wanton dumplings, Eng Kee is also a queue magnet which was originally at Yong Xin Coffeeshop. Even so, standard has been maintained over the years and the service is still as fast as ever. 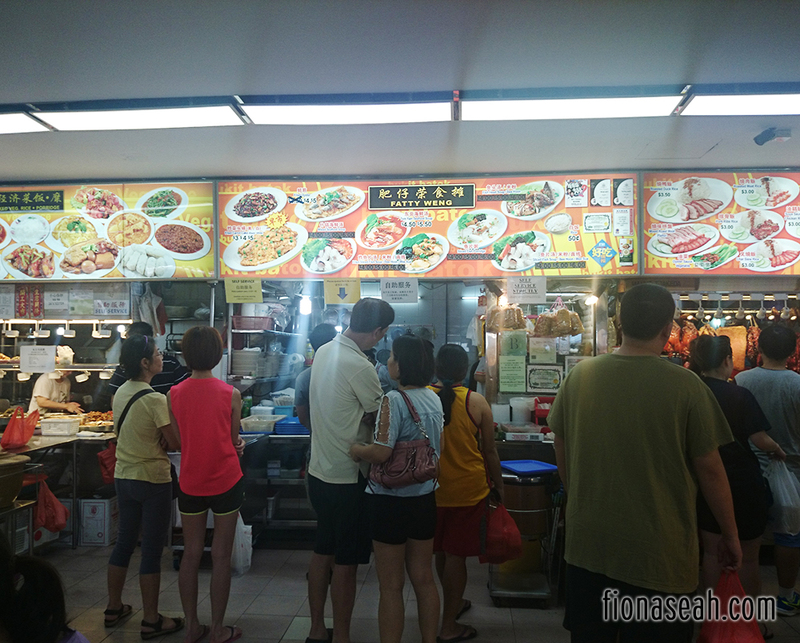 Most importantly, the price for a plate of Wanton Mee still remains the same although it had shifted to a newer and cleaner location. 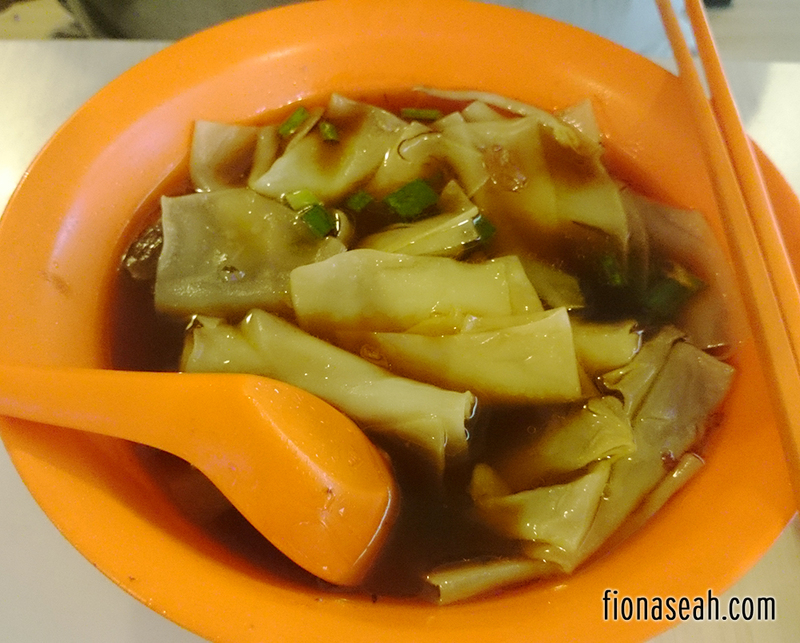 Chicken feet noodles and my favourite crispy fried wanton dumplings! Hey guys, thank you so much for your overwhelming response to the original list above! 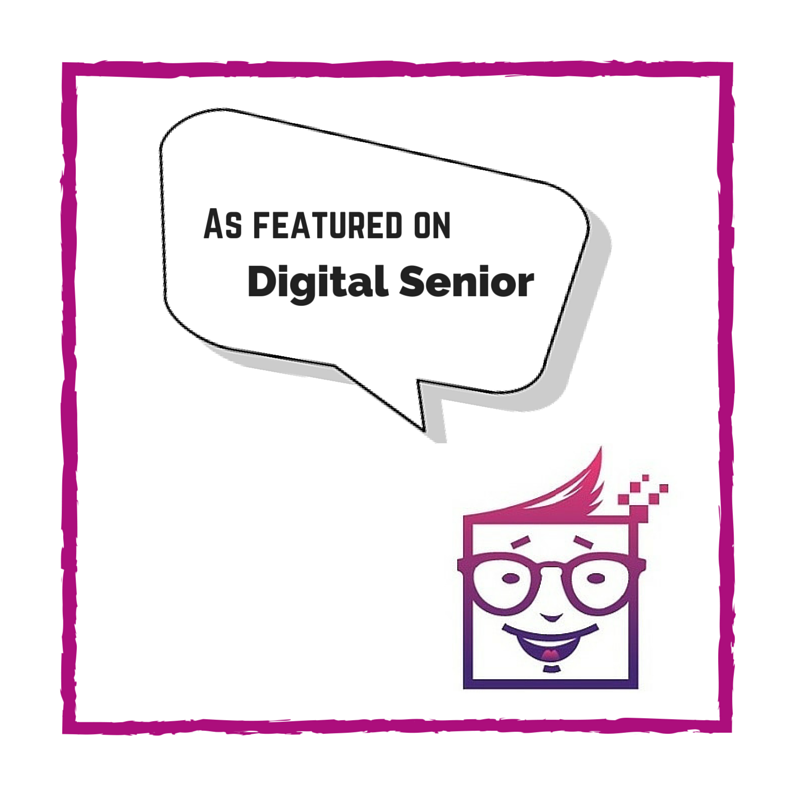 I had personally tried out some recommendations that were put forward several times in the comments section and the following is what I feel deserve to be on here 🙂 I will be trying out others soon too so keep the recommendations coming! It was an impromptu trip to Shun Yee (previously Soon Yee) one Sunday afternoon. I was kinda worried that we would have to wait for a long time to be served since I was advised to make a booking over the phone prior to my arrival. But to my surprise (or maybe I was just lucky), our order came within 20 minutes which is typical of claypot rice due to the time-consuming method of preparation, and relatively fast for a portion for 3 I must say. Honestly, it was a rather small portion for three adults, so do upsize your order if you’re big eaters like us. Otherwise, order individual bowls if you can afford to wait (maybe that’s when phone booking comes in handy). I also felt that there wasn’t enough salted fish to go around even when mixed thoroughly, so I will definitely ask for more salted fish the next time I dine there. 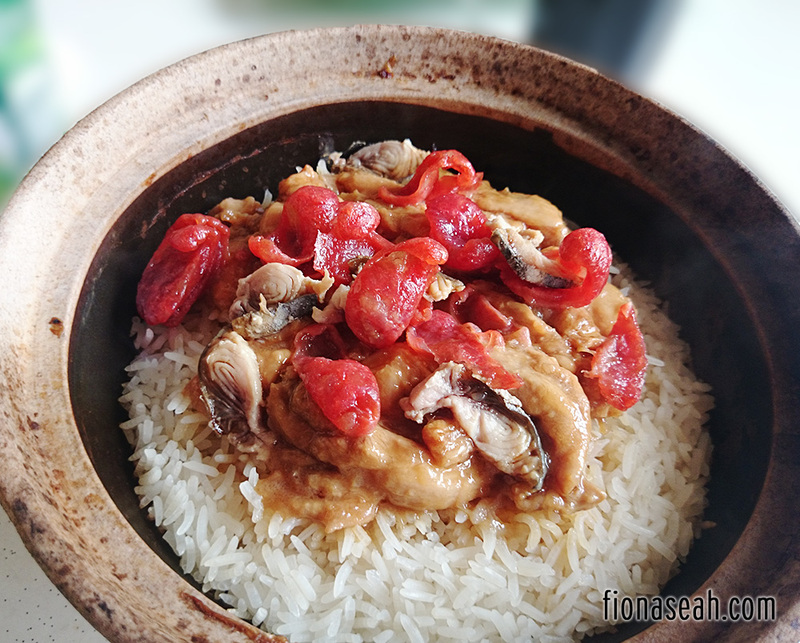 But tastewise, their signature claypot chicken rice was really good, tasty and fragrant! The rice was done to perfection and not overcooked at all so it was slightly crusty on the outside (love!) but soft and moist on the inside. I don’t remember having to scrape much burnt rice from the sides at the end so yay to minimal food wastage! Unfortunately I had forgotten to ask for the contact number to make bookings so if you have it, please feel free to share in the comments below. 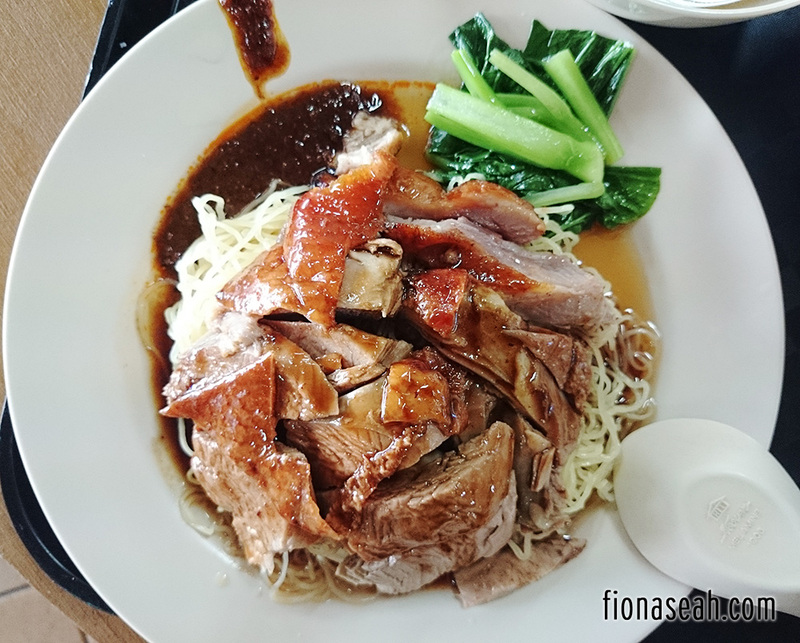 Previously located at the coffee shop next to Bukit Batok Community Club (and before that, at Block 109 coffee shop), it serves a variety of roasted meat from char siew to duck to chicken. Basically, the best of Hong Kong under one roof, just lacking my favourite goose meat. It had recently moved to a more inaccessible location on the topmost level of a not-so-modern-looking industrial building and occupying two units (one for noodles, and another for rice). Yet, there was still a queue for it (people who seemed like regular customers and not manual workers for sure) when I was there past noon at the otherwise quiet canteen. If people are willing to travel all the way to this godforsaken place for the food, then it must be a place worth visiting. The soup was flavourful and thick. I wasn’t fond of the dumpling fillings although they were in very generous amount as they tasted a little bland in my opinion. But that’s alright because it’s not the highlight of the meal. 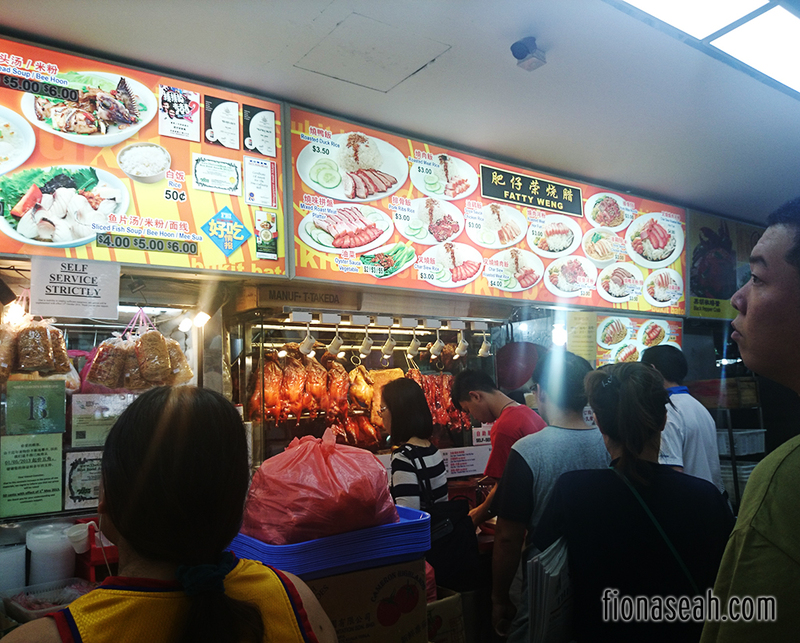 The roasted duck meat was plentiful and sliced in thick slices, making every dollar spent count and worthwhile! The meat was tender and juicy and the gloriously glistening skin makes it even more divine. The gravy was good too but it would have been better if was a little more flavourful. Still, it’s still a great deal for under S$5. However, contrary to appearance, the char siew was slightly disappointing because the meat on its own tasted a little dry and tough. I’m not sure if the portion sizes were dramatically increased to cater to the appetite of the manual workers (who logically should make up most of their customer base now) but everything seemed to be served in large servings, including the amount of rice. It was astonishing! Even the family beside us was in shock and disbelief when individual plates of rice were served to their table (self-service, by the way). I bet one serving could satisfy 2 adults to the full. None of us managed to finish our rice in the end. Food there is extremely value-for-money and better than average in general. 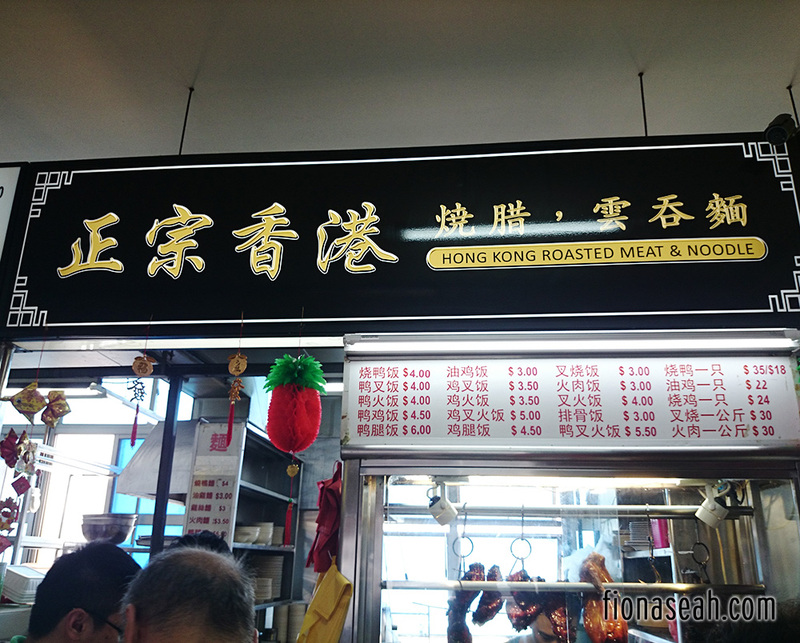 But tastewise, I feel that it loses out to Rui Ji Hong Kong Roasted Delights. 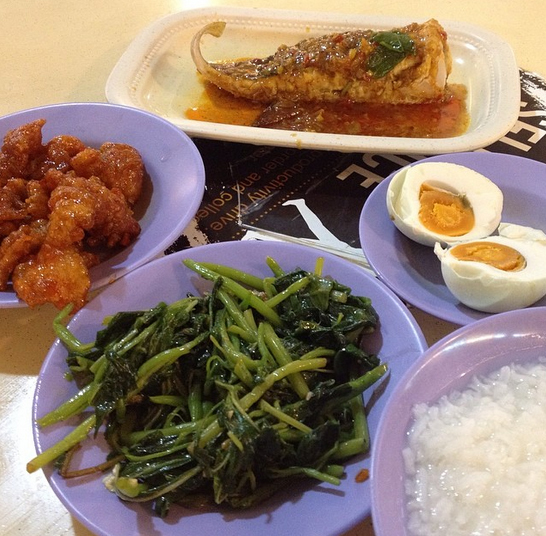 And there you have it, the best food in Bukit Batok! Agree or disagree? I believe there are more that I haven’t discovered so please feel free to let me know in the comments below should you have any other recommendations! I’m open to other choices because having too much of the nicest food would also make you sick of it somehow. 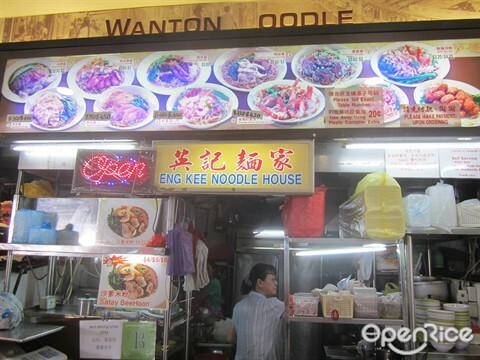 Hey, there’s also the Eng Kee wanton noodles! 🙂 always long queue whenever I patronize! dissapointed that the ban mian noodle store at 155 is not featured.. The one that is beside the western food store. They have the best dry ban mian ever! The handmade meatball noodles stall at Blk 373! I’m a resident in Bukit Batok too and I do agree with your recommendations! 3 more places to add. 1. Blk 233 Bukit Batok East Ave 3, there’s a stall selling dumplings (jjiao zi, guo tie). Not open on Mondays. 2. 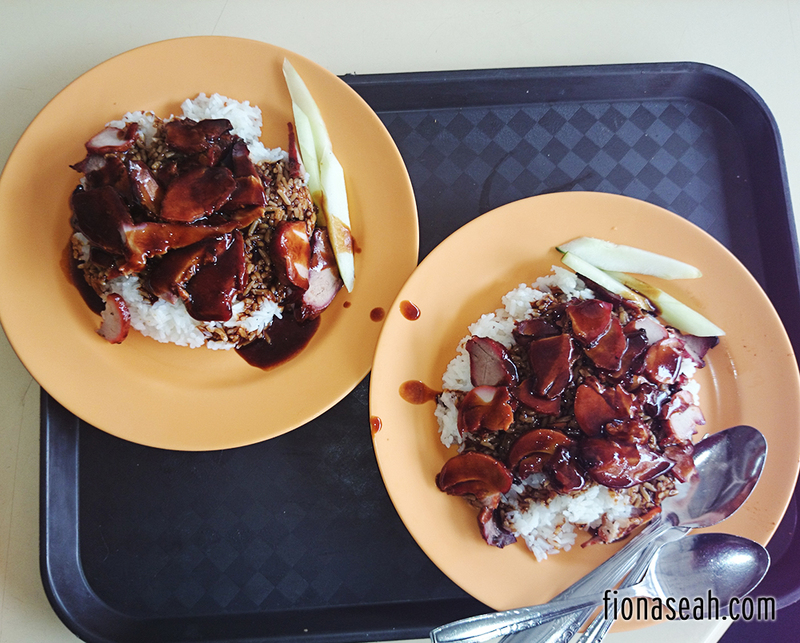 Blk 640 Bukit Batok Central, Roast duck rice. Char siew and shao rou also not too bad. 3. Bukit Batok CC, Roast meat. Hk style roasted meat. 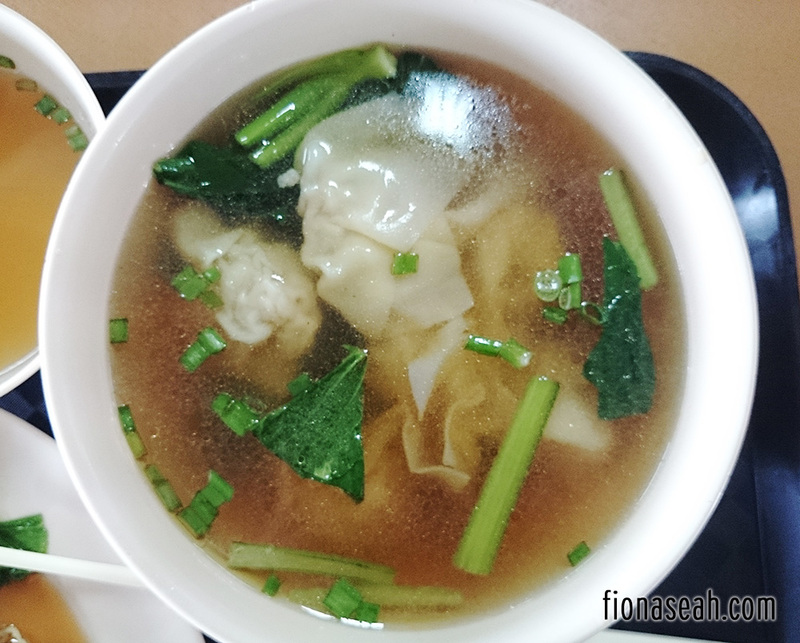 Can also order dumpling soup to add on to the perfect meal. A Very nice atmosphere and friendly servers. Located at 21, bukit batok crescent, wecga tower, #02-85, S658065. How can you miss out the Sedap Corner Chicken rice??! Thank you for including Ke Kou Duck Rice #14 in your list! I hope you have enjoyed my dad’s cooking for the past 20 over years! 🙂 Have a great day! Hello Peisim! Mind sharing the address? Heheh thanks! Thanks for the recommendation Hwo!! Thanks JC! Will check that out. Hi Fiona! My mum owns Siang Yuan Porridge Restaurant and I would like to thank you for your patronage and for giving our porridge long overdue recognition! C: This means a lot to us C: but I would like to point out that adding an egg costs 30 cents instead of $1! Cheers and continue supporting my mum’s porridge!! John Lee: oh dear! 😦 what a pity. Sure, will update the list. Thank you! Hi, I have one recommendation. 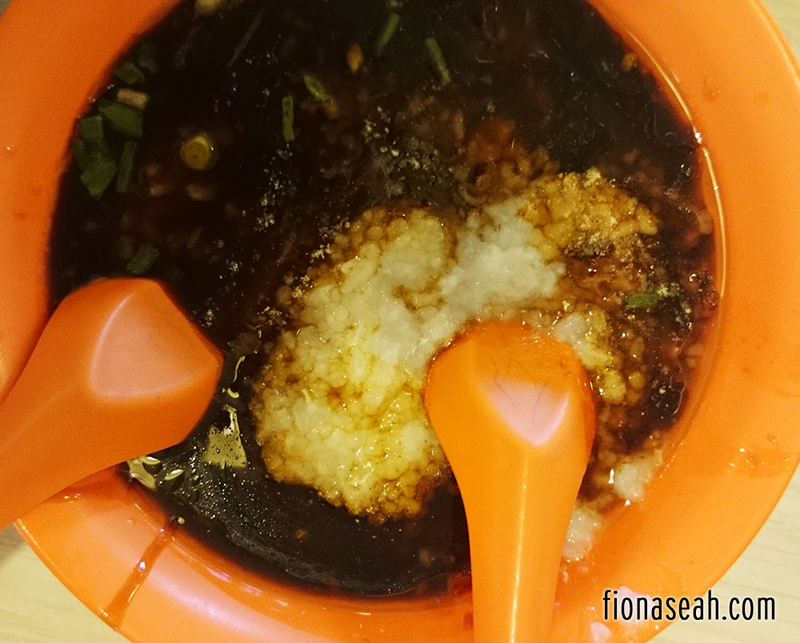 Claypot rice in bukit batok, hawker centre opposite the church at bb st 11! Bukit Batok Crescent Kopitiam 美味 Roasted Chicken Rice stall 👍 they served really good wanton noodle! You should try! 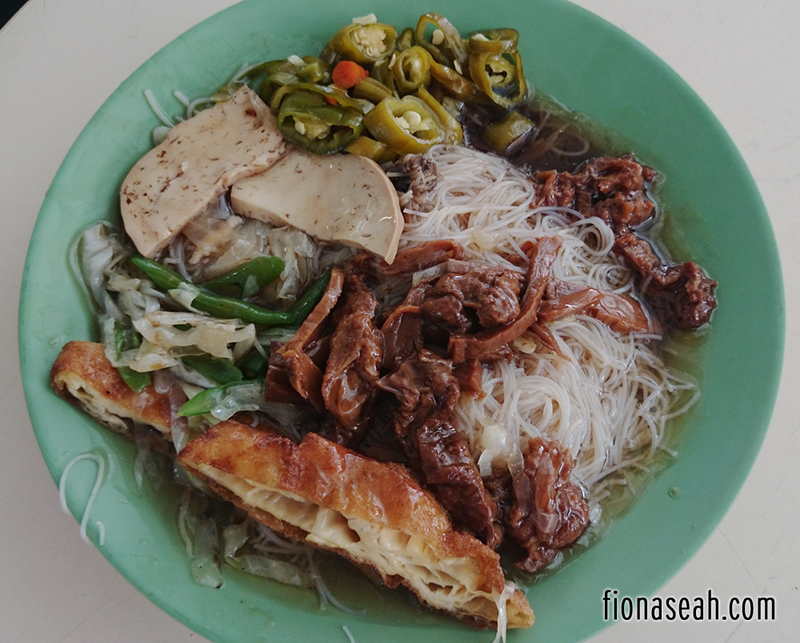 The dry ban mian at the stall beside rui ji roast meat called Gui hua ban mian (see your pic!) is very good! It’s chewy yet not overly cooked which is quite hard to find. It became my comfort food. The roast meat at the bb cc is very good too. Used to be at block 110+ blocks area. Very yummy! And there’s another ice Cream shop at 347 called beans and cream. The waffles are good and so are their ice cream. Nice list! Thank you very much for it. So many treasures in Batok I haven’t tried despite being a resident here for 15 years. Chicken wings at the western food stall is cheap and good! The half spring chicken is like KFC original + crispy. 17. Agree with Pat. 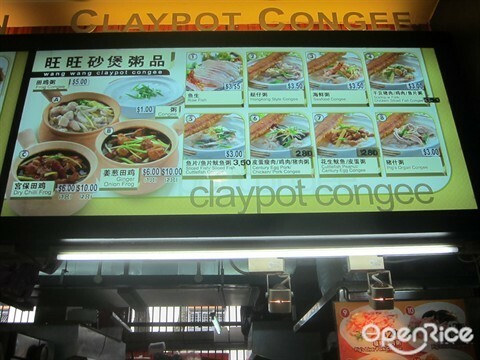 Call and book your Claypot Rice at opposite Presbyterian Church coffee shop. 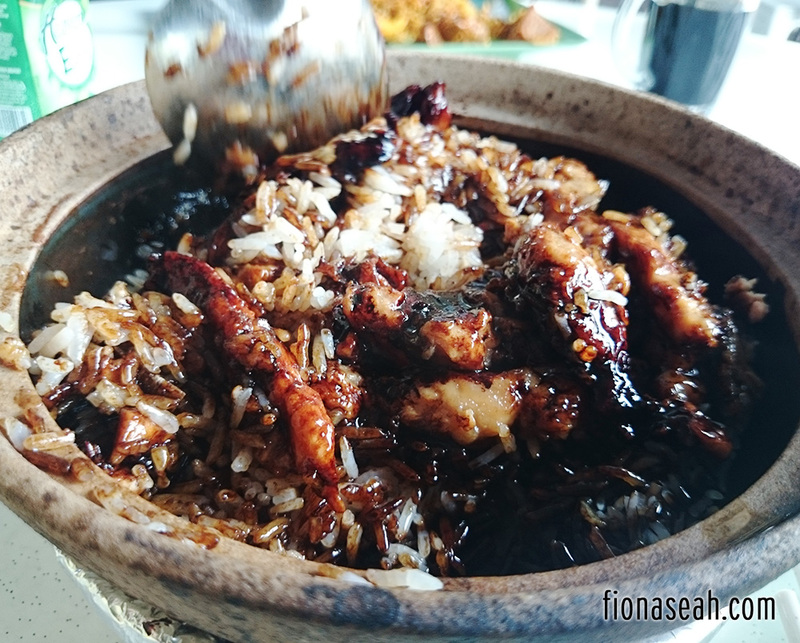 Awesome Claypot Rice at just a phone call away!! The Song Kee Hokkien Mee is no longer nice. I much prefer the “new” stall with starting price at $3.50. 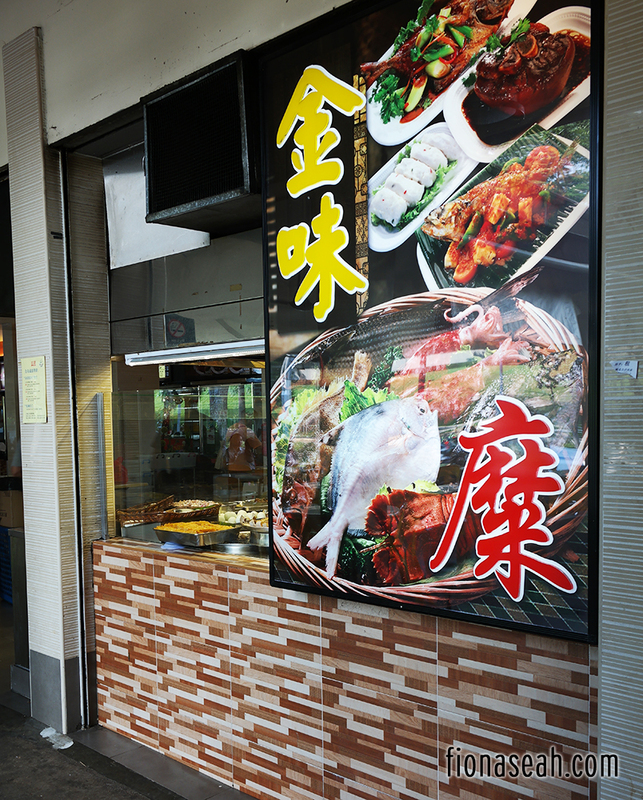 There was the awesome “Felicia Chin” Yong Tau Foo stall that has now shifted to Gek Poh! The hk roast meat at BBCC have already moved to to Sky Tech building at Bukit Batok Street 23 at the coffee shop on the 9th floor. Hope this saves you the wasted trip to BBCC! 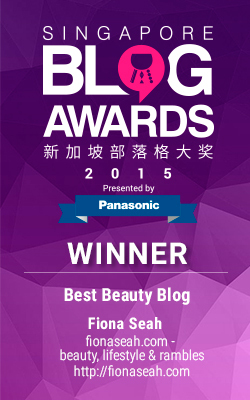 Woohoo thank you for featuring bukit batok east’s malay stall and vegetarian stall! My fav! You can try the listed food list before too! i used to lived in bukit batok but is.. bukit batok west ave 2…. phy: wow, thanks for the tip! i’d prefer it to be at BBCC though.. so much more convenient for me HAHA. but i will definitely find time to try it! song yuan: ex-resident! *waves* i heard about the noodles there! but damn, i’m definitely not a morning person 😦 guess you’ll have to wait a while for me to have the chance to review it haha. U can try bukit batok west ave 4 blk 413 coffee shop.There is 1 stall selling fishball noodle.U must try.The stall owner is going to retire.The stall open around 6am+ and end around 11am cause sell finish. 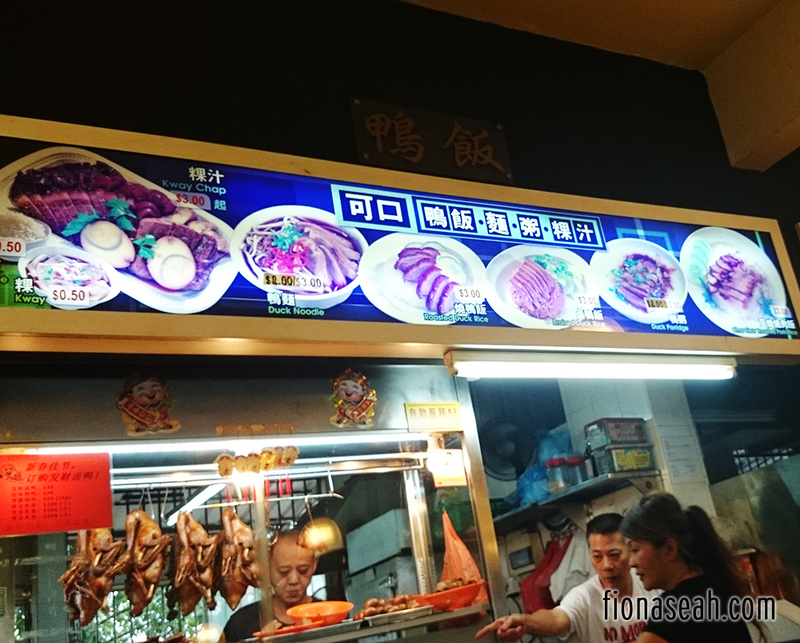 Hi, I would like to recommend the Kway Chap in pic 15, the duck rice stall beside the Hokkien mee. Their Kway chap is the best taste ever I have tried. Many other stalls elsewhere could not have the same taste as them. Braised till very fragrant plus their chilli. Is a must try!!! Well, add one more mee rebus at the only Malay stall there at Blk 155 Coffeeshop. The gravy is very shiok with lots of peanuts in it. 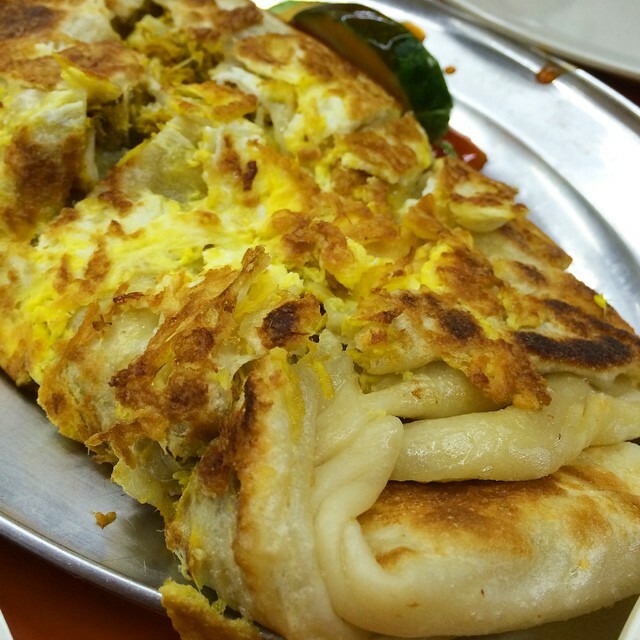 Cheese egg prata at RK Eating House opposite Chomp Chomp is still the best! Soon Kee Fried Hokkien Prawn Noodle, my first choice ever for more than 15 years! 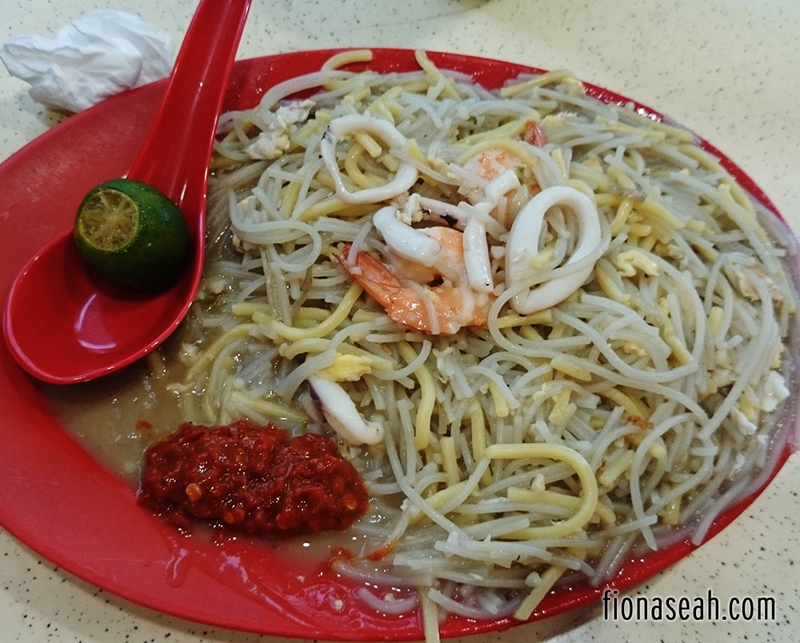 Sorry sorry, Long Sen Fried Hokkien Prawn Mee is my first choice ever for more than 15 years! I’ve tried 2 of the stalls that you mentioned. but seriously it’s just really average in my opinion. Bart: agree with you and would love to include RK butttttt like you said, it’s at the north east region! The only prata store that fits the bill in bukit batok is only thohirah I’m afraid 😦 but it’s really not bad la! Very Good recommendation, keep it up. BB cc roast meat stall has shifted after cny this year. Anybody know where it moved to? It is really good and portions are big too. Only the no.1 i couldn’t agree with you..their prata taste is so so only..would rather have it at muhfiz at bukit batok central opp mcdonald. 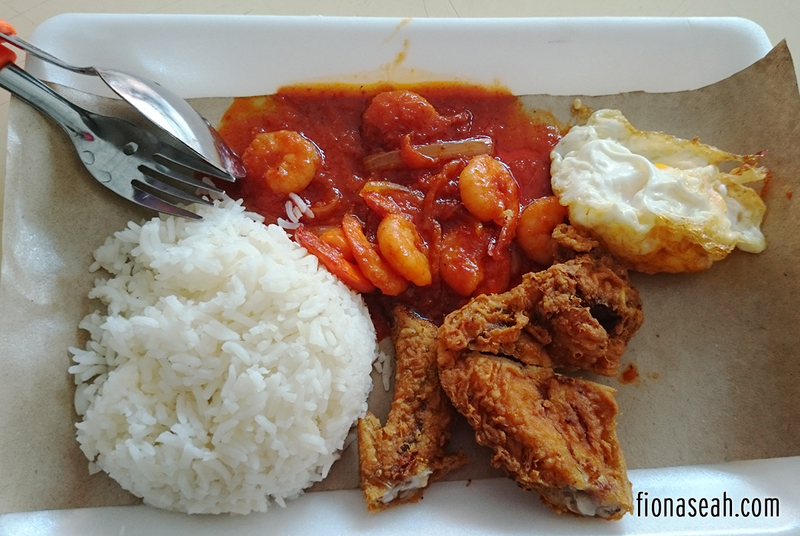 .theirs is way way way much better..
Also why not try air pasang just beside thohirah…serve nice foods also..
No worries Fiona.. Will update you if we are back.. =) Meanwhile, if you happen to travel nearby redhill mrt station, you are welcomed to drop by our another stall located at redhill place block 85 market. =) Cheers..
About time! Been living in Bt Batok close to 30 years and it’s recently been famous as the “rat place”. Apart from that, there are plenty of interesting things to discover here. I have Ru Yi Yuan’s vegetarian bee hoon every saturday!! 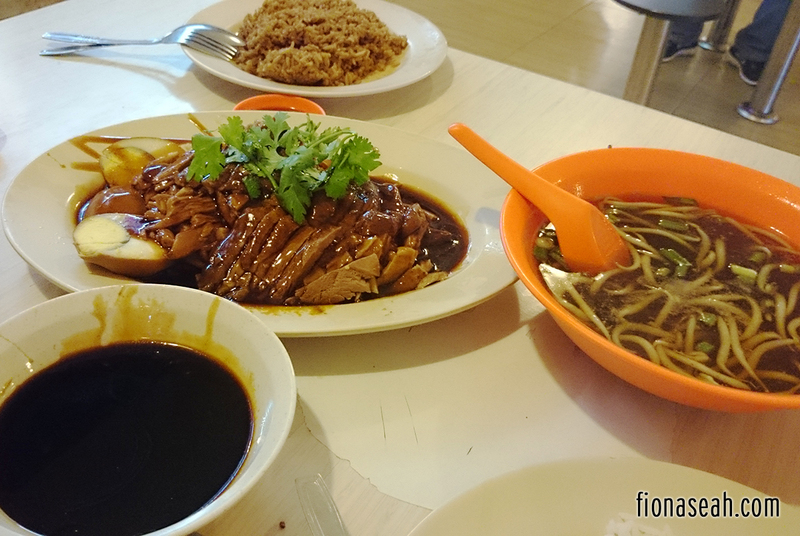 640 roast pork, roast duck & char siew are legendary!! Also, the prawn noodles & laksa from the same stall at 217 is most awesome, you should try it someday. Yes, Ken! Kinda upset by the bad publicity Bukit Batok has been getting. Thanks for the recommendations! Shun Yee Claypot Chicken Rice is no longer dere.. anyone know where they moved? love their soft shell crab..
Oh dear! Is that so? The Claypot closed shop. They hv moved hse to punggol and decided not to sell at the moment. Current stall owner claypot havent try. 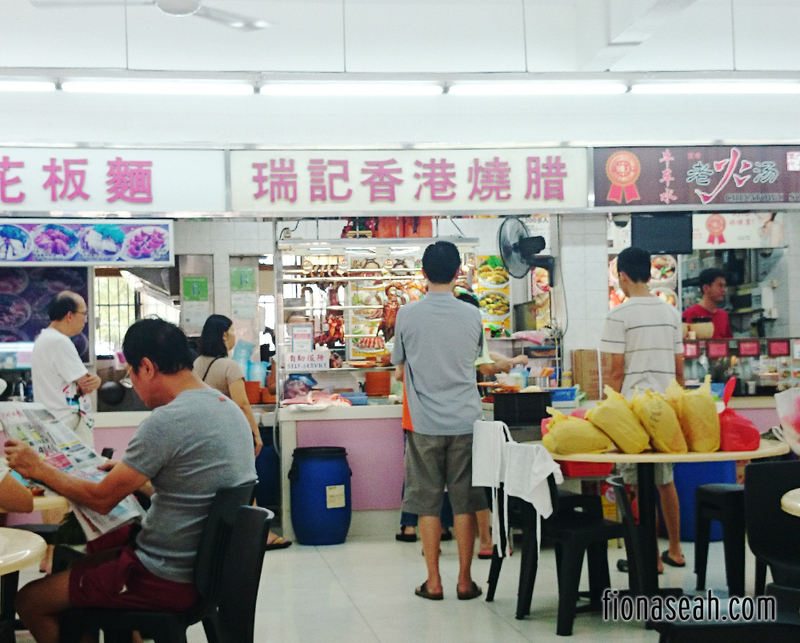 Recommedation: yuhua market stall #01-37. 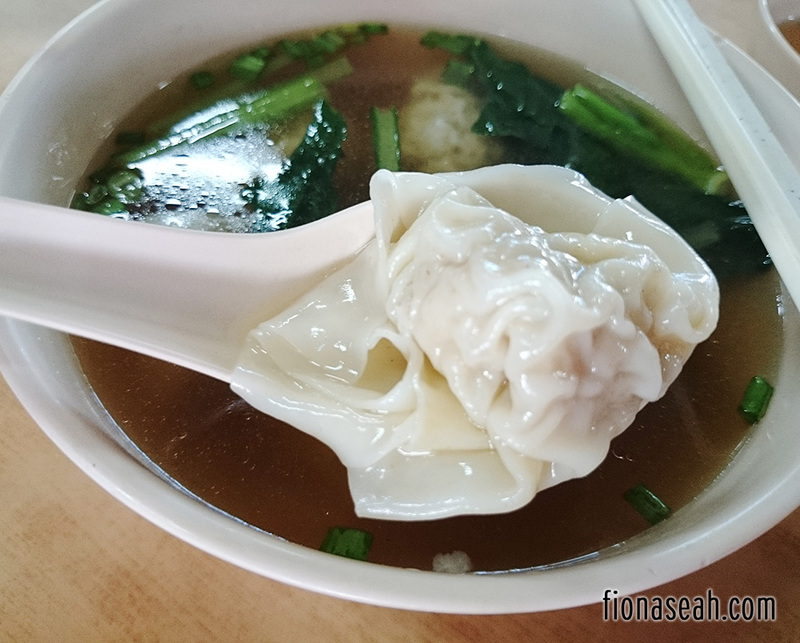 Ming Ji Wanton Noodle. I love their chicken feet + pork ribs noodle! Hey Ivan! Thanks for the recommendation 🙂 Will keep that place in mind! I agree with Ivan, my uni friend and I still goes back to visit Ming Li economy rice every saturday! So much so that the auntie even knows us. That economic rice is the bestest I’ve eaten in my life, you must try that curry chicken! I’ve tried it! 🙂 Will include Ming Li in the list soon. Yay that’s great Bryan! 🙂 Do share with me what you’ve tried so far! Hi, would just like to know. I understand Alif has been bought over by Thohirah but is the menu still the same? I am a fan of apom (india pancake) so I was wondering if that is still on the menu mainly. Great post though! Hi ND! From my understanding, Alif was bought over by Thohirah and renamed to the latter. But recently it was renamed back to Alif again. So I’m not sure if it’s still owned by Thohirah. Food wise, menu remains the same as before if you had been to Alif. Indeed, the standard dropped after the relocation as the chef has changed from a old man to a young chap. Can I recommend Nasi Lemak at blk 413 west ave 4. Always long queue in the weekend. Rice very fragrant, chicken crispy. Chilli bagus (though I don’t take spicy food). 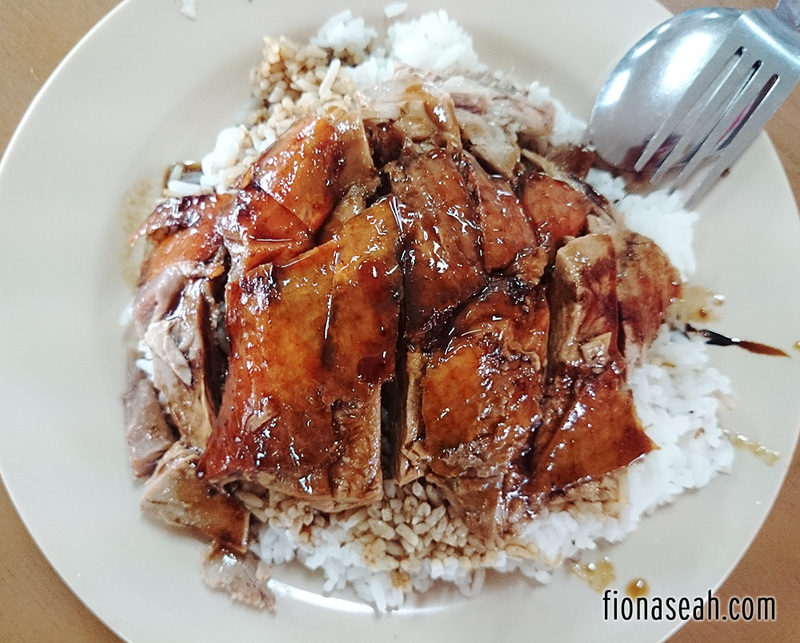 Can I also ask for the whereabouts of a roasted duck rice stall called 鑫记 at blk 359 street 31? Thanks! agree with you on Soon Kee Fried Hokkien Prawn Noodle. standard drop so much.. i can’t even finish 40% of it. Also agree with the clay pot rice. FYI, last time got pepper chicken one, now no more…. Thanks for the recommendation! I will be sure to check it out before I move out of the west 🙂 I’m not sure about the roasted duck rice stall tho. Hopefully someone else is able to help you out here! You’ve got me hungry at #5 and #15. 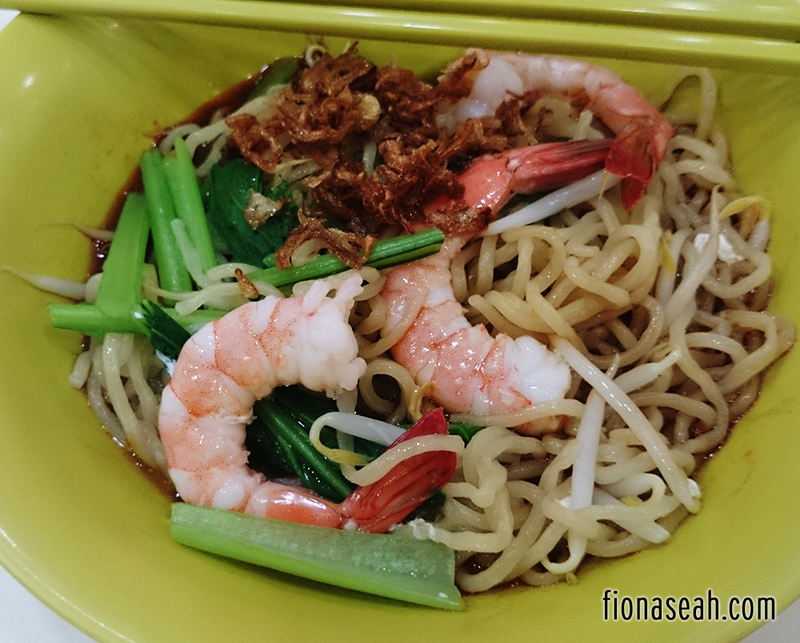 My absolute favourites for Fried Hokkien Mee! I know.. it’s very bland now and I hate that the minimum amount now is $3 instead of $2/$2.50 last time because I can never finish the $3 portion! Yay! Thanks for the awesome update! 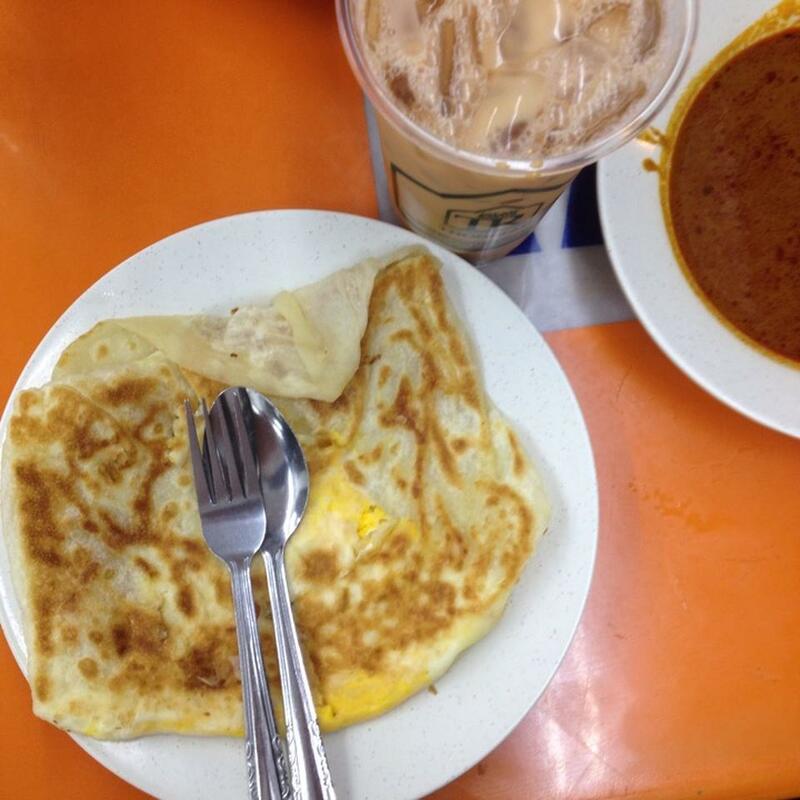 Just ate 2 plain & a cheese prata @ bukit batok 374. Man it will be my last time. Firstly why do they precook all the prata and stacking them up like some auschwitz genocide. Cheese prata was not well cooked the cheese was still hard on the inside. The sauce was nothing special and I can taste the powder remnant as well. 1/5 for filling up my belly. Oh dear 😦 I’m so sorry for your bad experience. I also hate to be served precooked prata so I’d usually demand for freshly prepared ones. 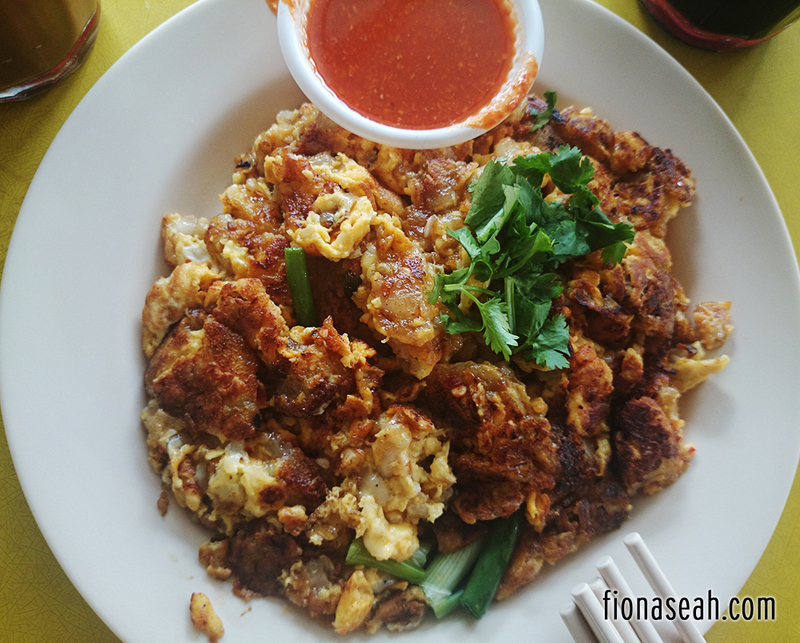 I heard from my friends that the prata place has changed hands a couple of times. Maybe that’s why standard has been really inconsistent these days. 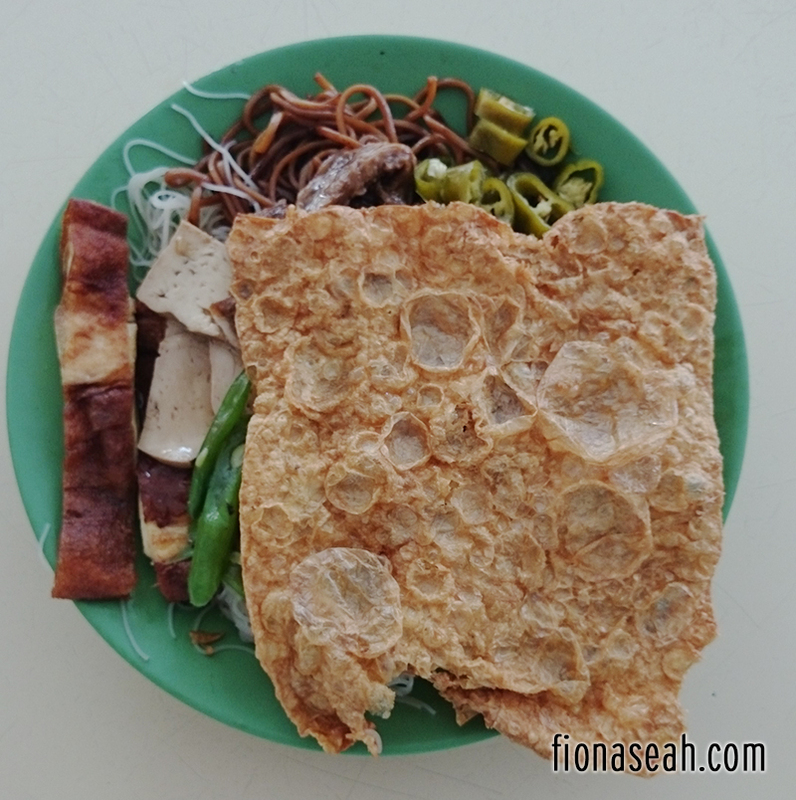 Will keep a lookout for better prata places at Bukit Batok! Hope you managed to get your fill of plain and cheese prata elsewhere! Hi Fiona! Commenting again because your blog post is the first on Google Search everytime I search. Good traffic! Please continue to update it regularly! 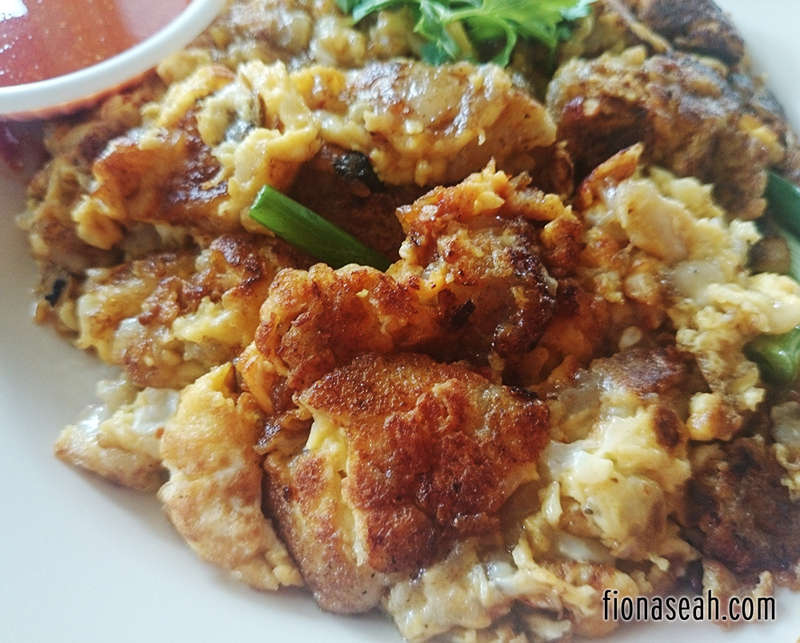 Regarding the not amazing prata I’d recommend ENAQ Restaurant but technically that’s at Jurong East, though still quite nearby from Bukit Batok. Although I don’t usually eat prata in Bukit Batok. 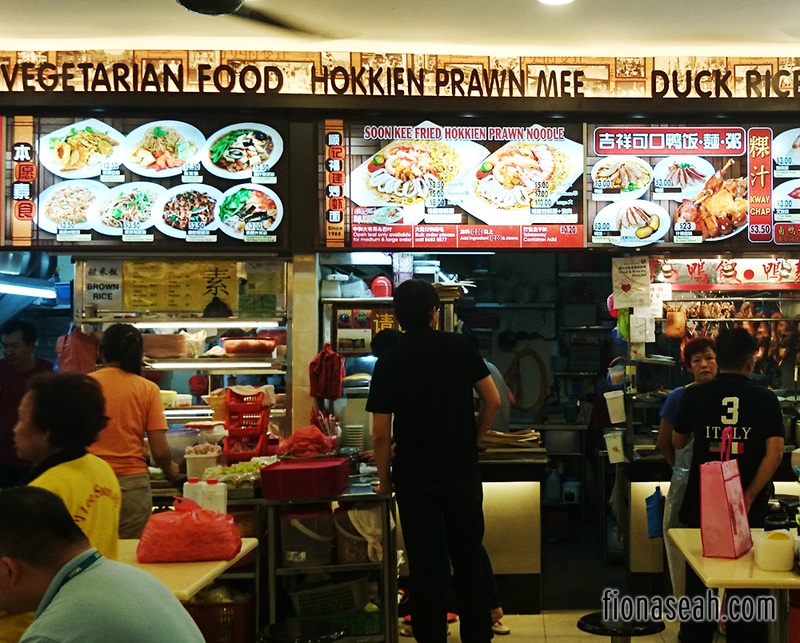 You should also feature the other Hokkien Mee instead @ 155 (I forgot the new stall name). Hey Joshua, thanks for poppin’ by again! Haha I’ll try my best to update as and when I’ve tried those recommended in the comments. Have too much things on my plate right now. I didn’t know there’s another Hokkien Mee stall at 155. Thanks, will try it when I’m there for lunch some day! 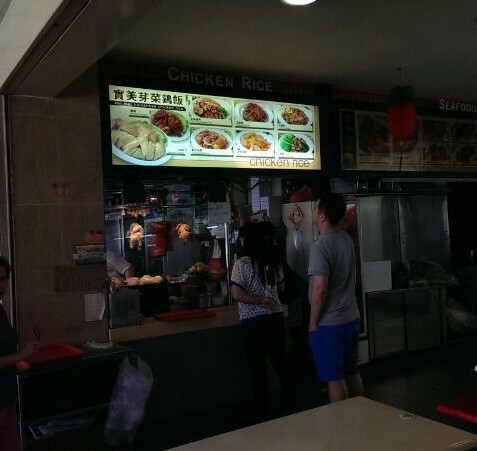 why no mention of the chicken wings at the economical rice in 155 Bukit Batok St. 11? have you tried it? almost everyone living near there loves it. the taste and aroma is so unique. thats why every time you will see people queuing up to buy it. Seriously you should give it a try. its very addictive. Ah yes, I’m aware too! Thanks for the reminder to update the post heh! 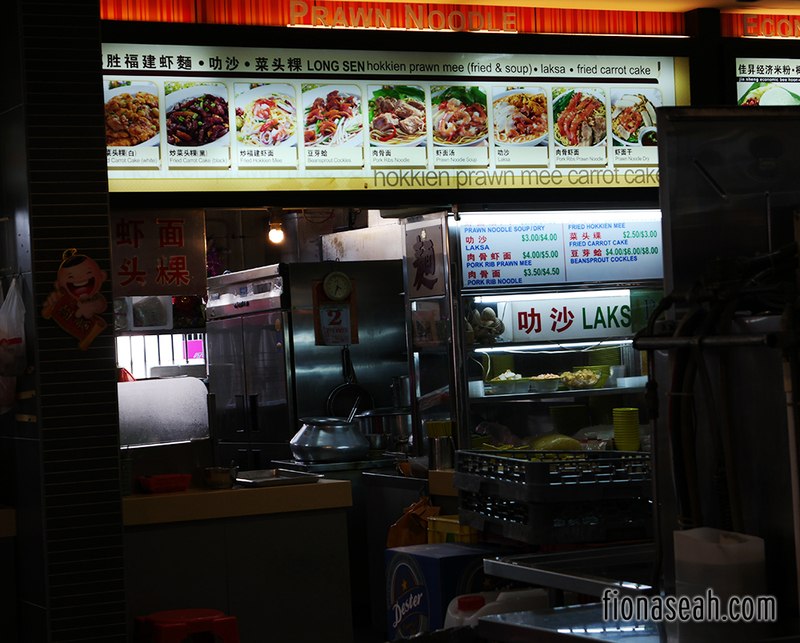 Can try the hokkien noodles / carrot cake at blk347 bkt batok st34… Its as good as some of the famous ones in singapore! Also Beans and Cream for good quality ice cream/waffles/coffee and reasonable prices also at blk347. I wanted to review beans and cream but didn’t find time. I’ve tried all the flavours on the menu. Very nice indeed! 15. 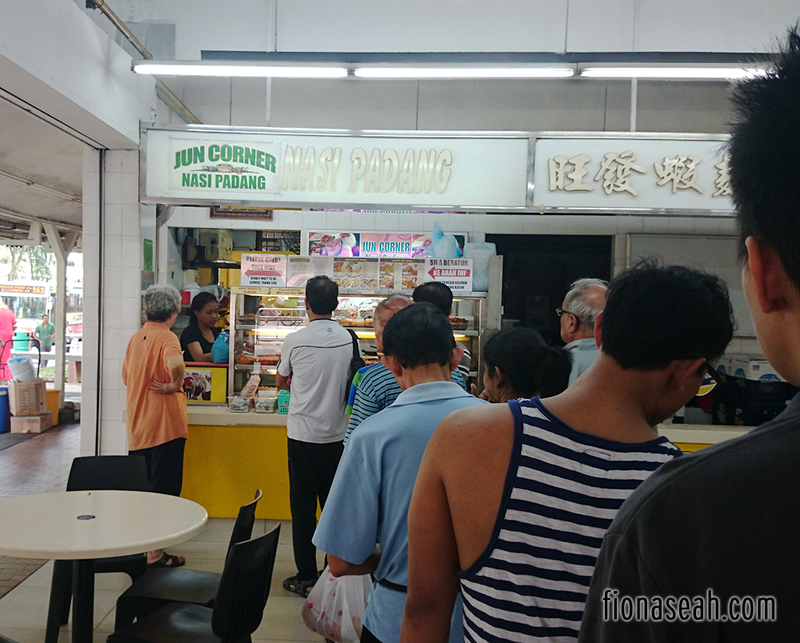 顺记福建炒虾面 / Soon Kee Fried Hokkien Prawn Noodle no longer operate at the mention address and has since taken over by another person that used to fried Hokkien me at the coffee shop behind where Soon kee used to operate.